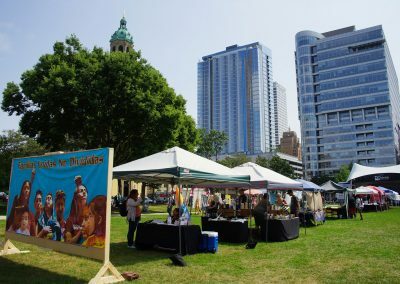 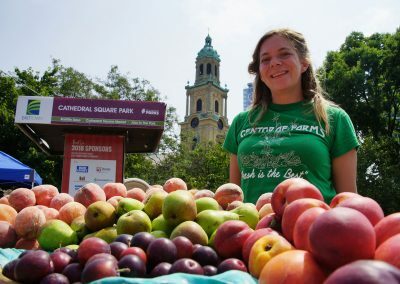 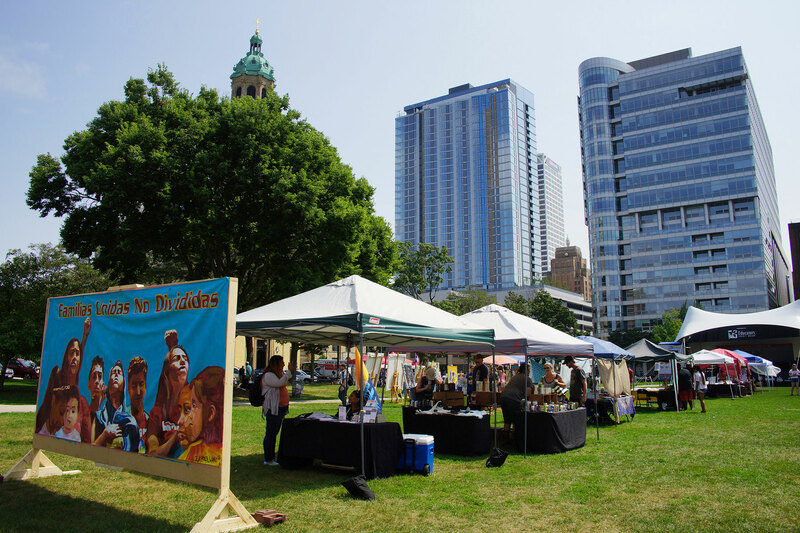 Originally known as Courthouse Square for being where Milwaukee’s two courthouses were located between 1836 to 1931, Cathedral Square continues to be a thriving location for the downtown creative culture. 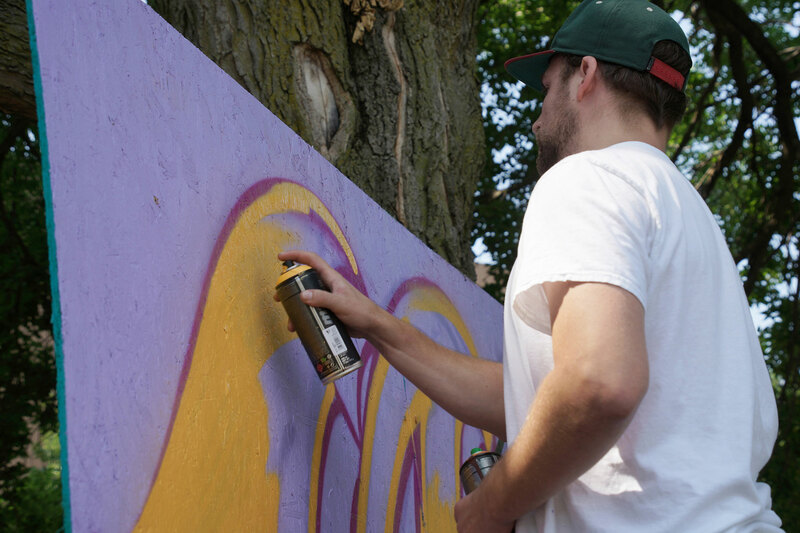 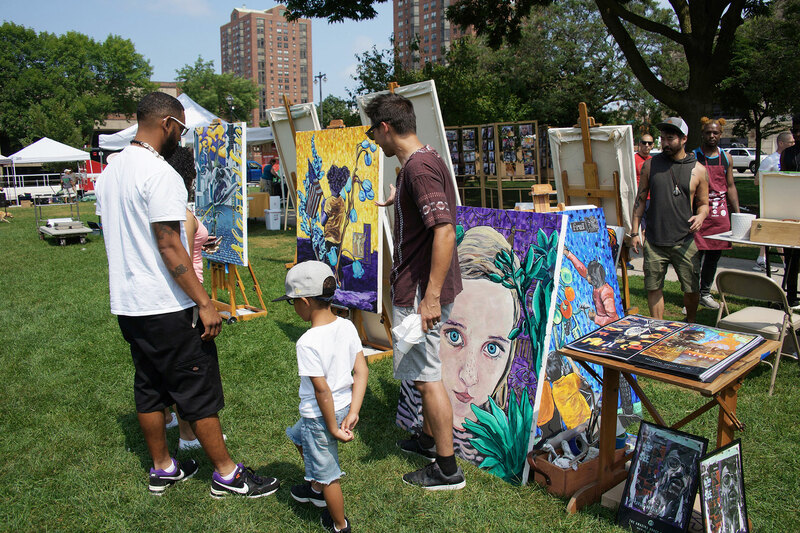 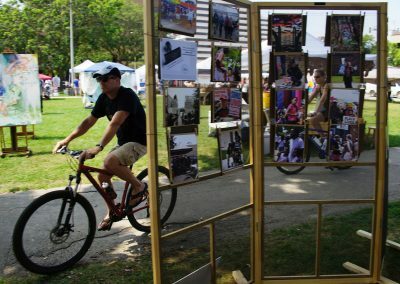 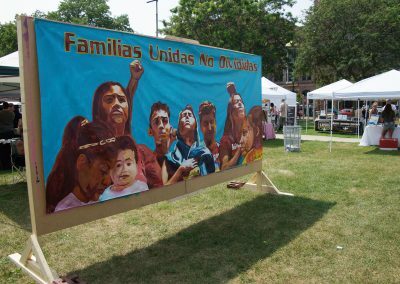 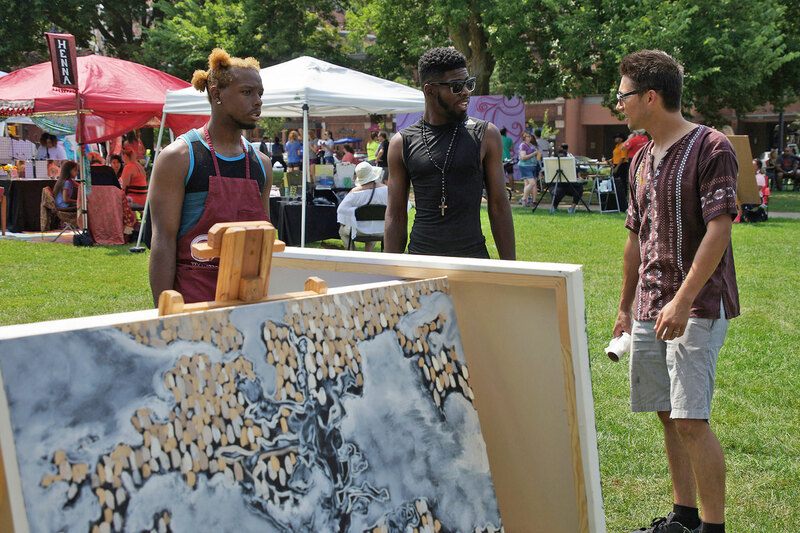 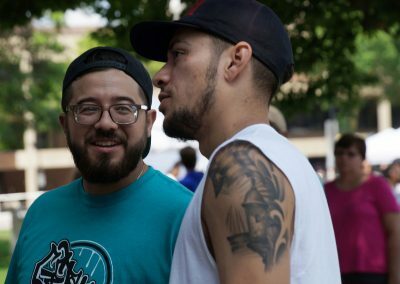 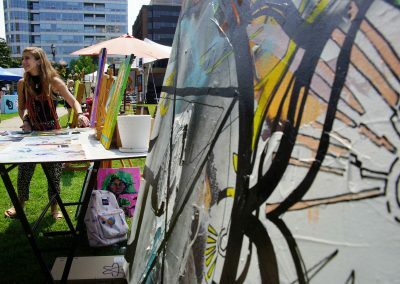 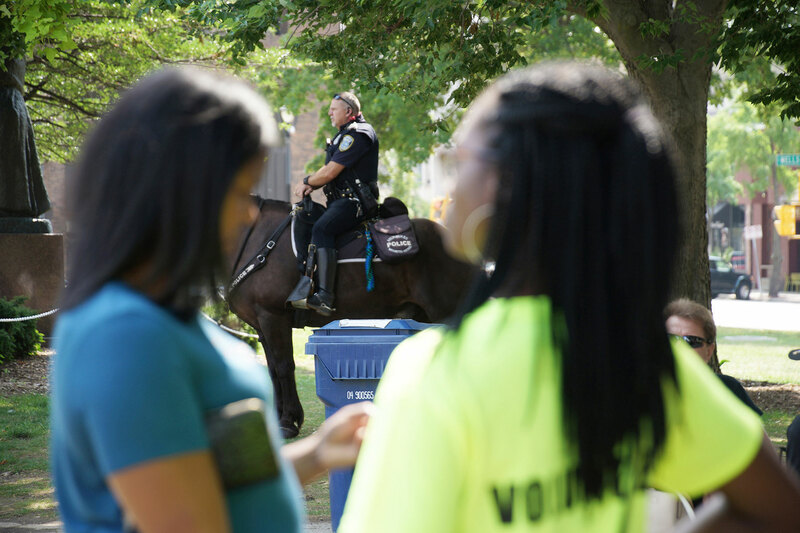 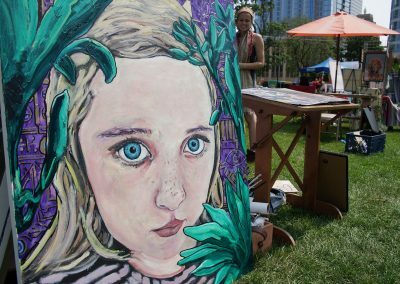 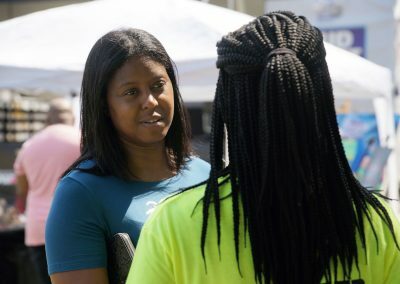 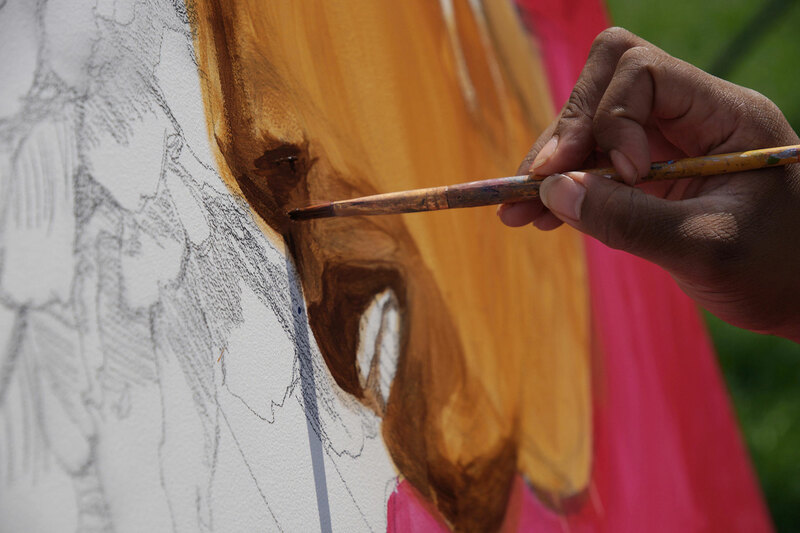 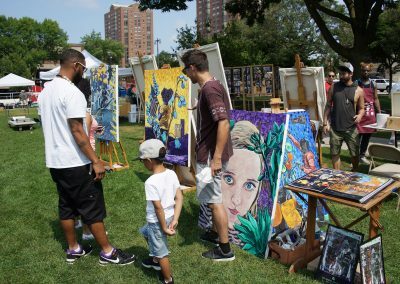 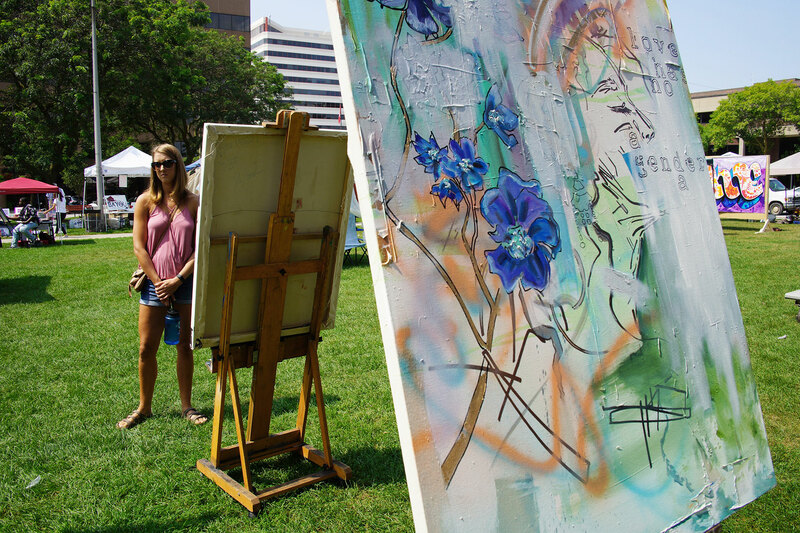 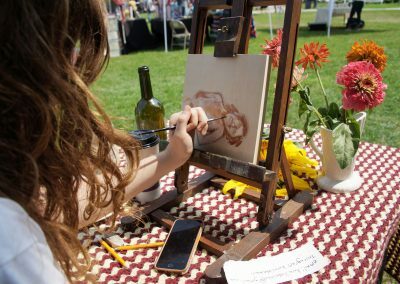 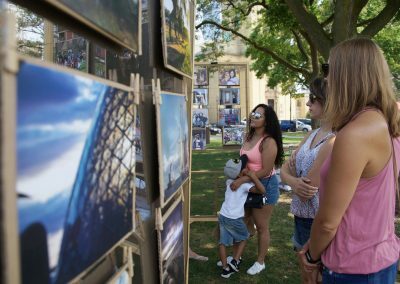 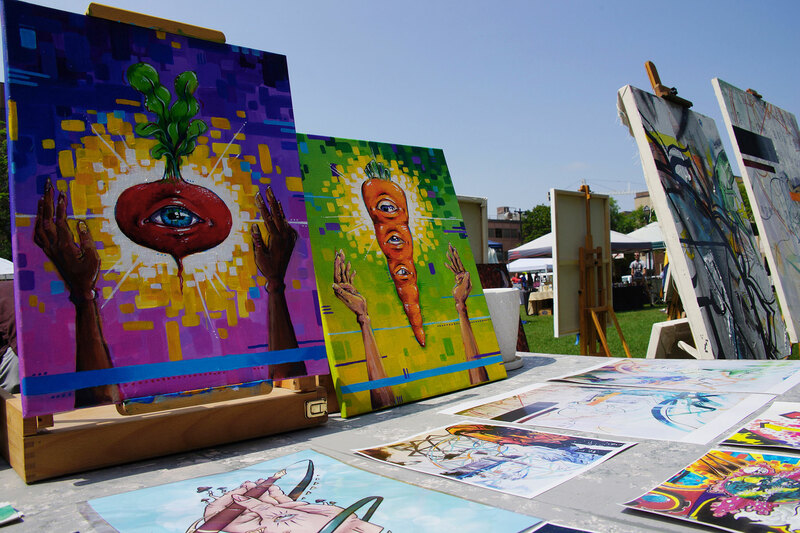 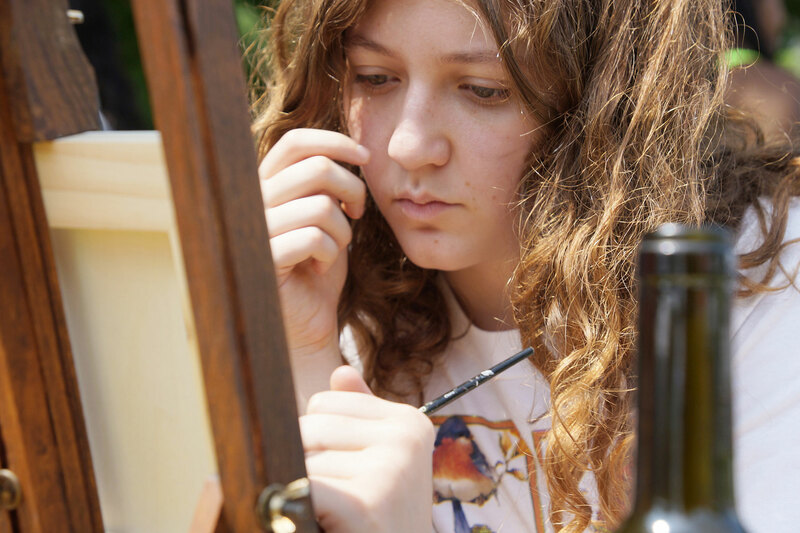 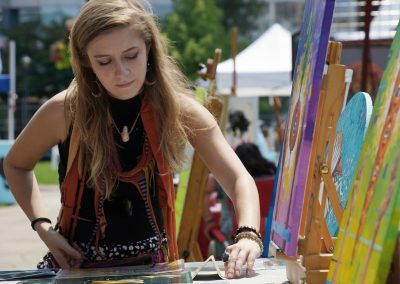 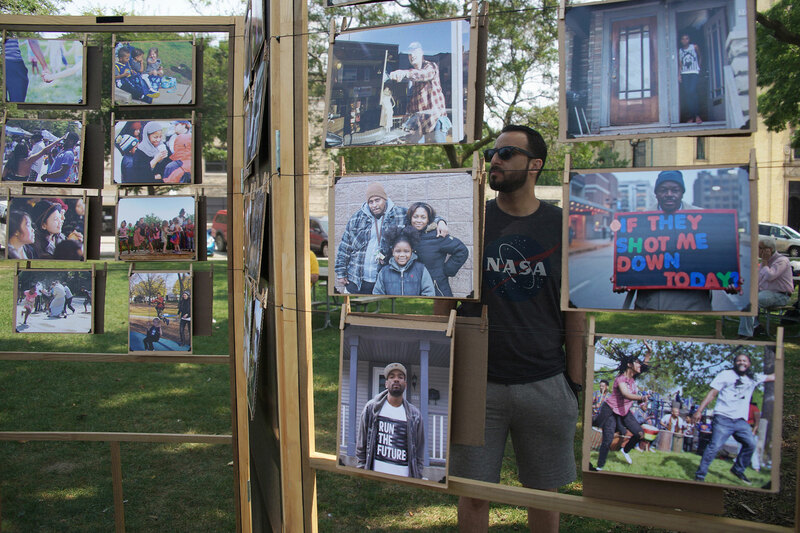 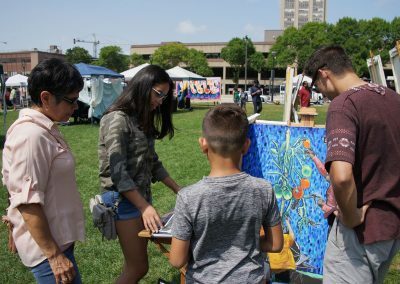 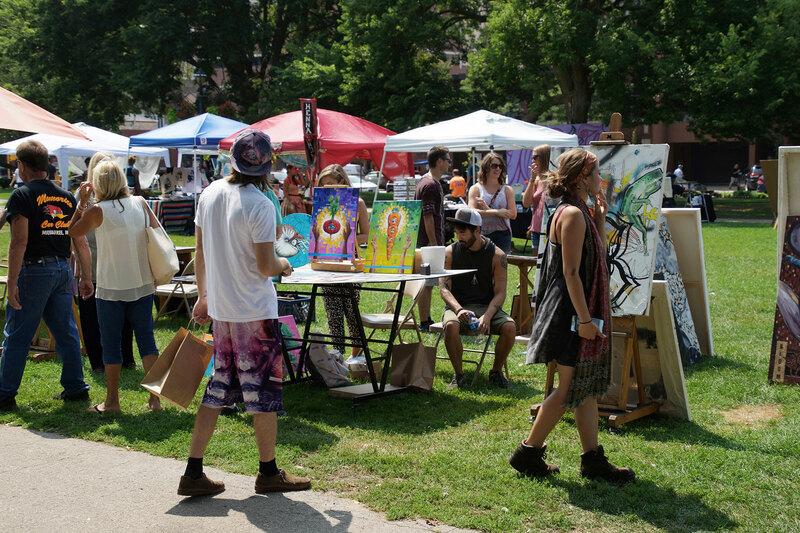 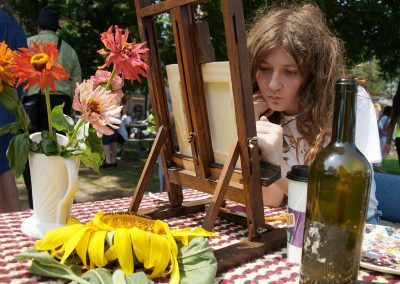 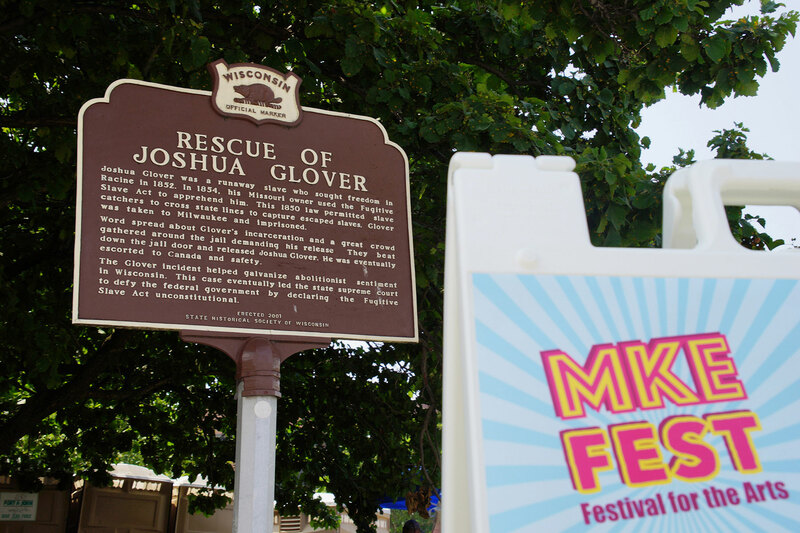 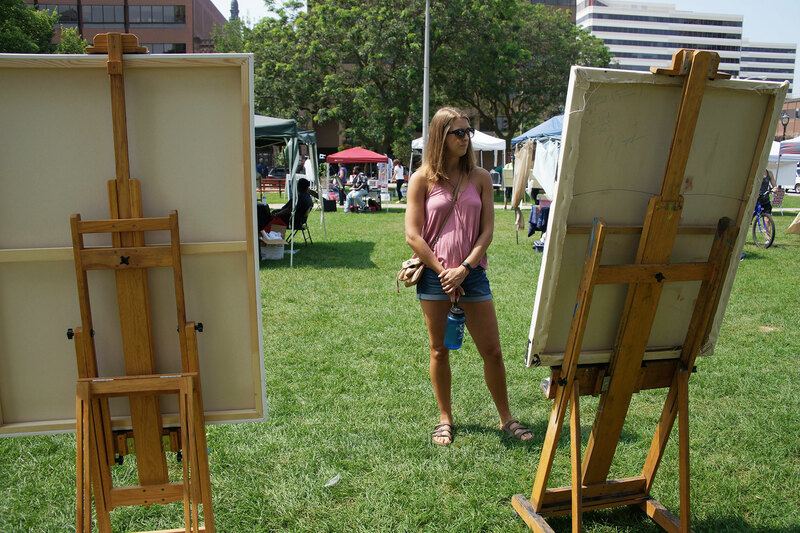 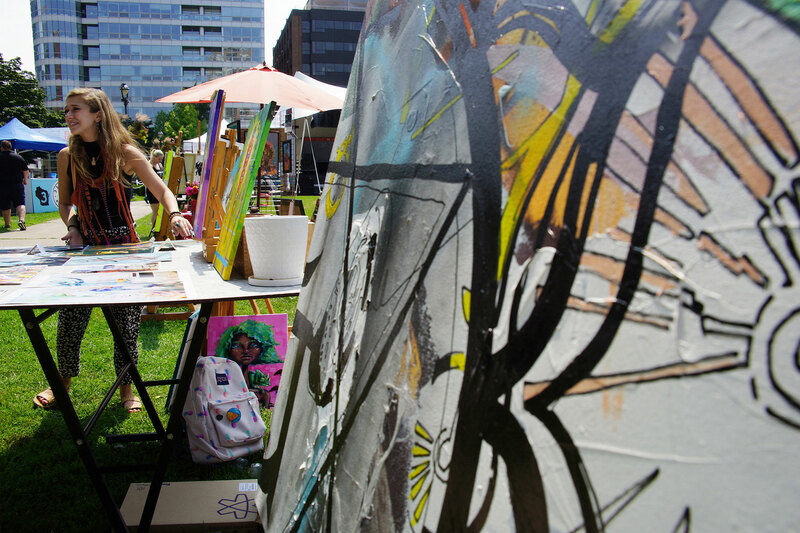 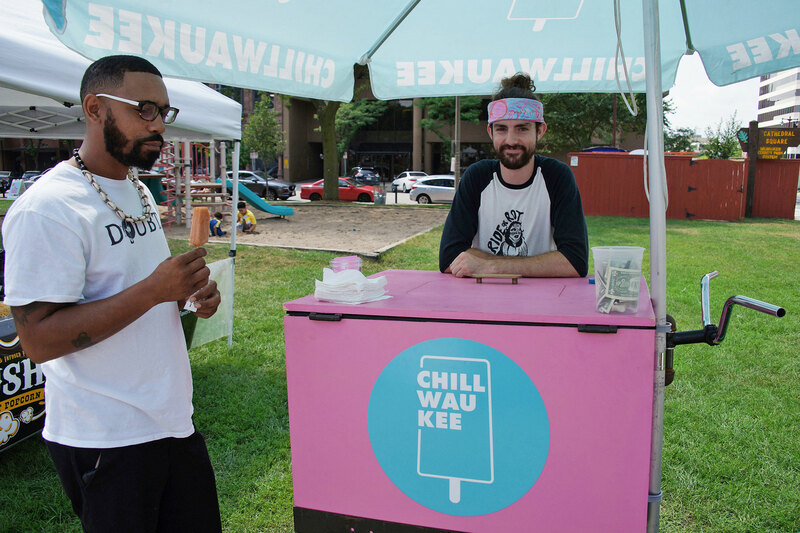 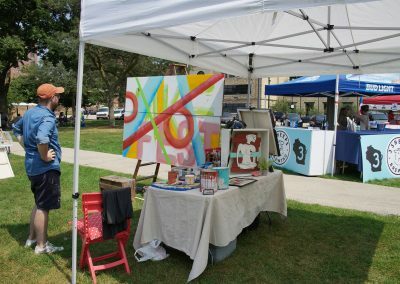 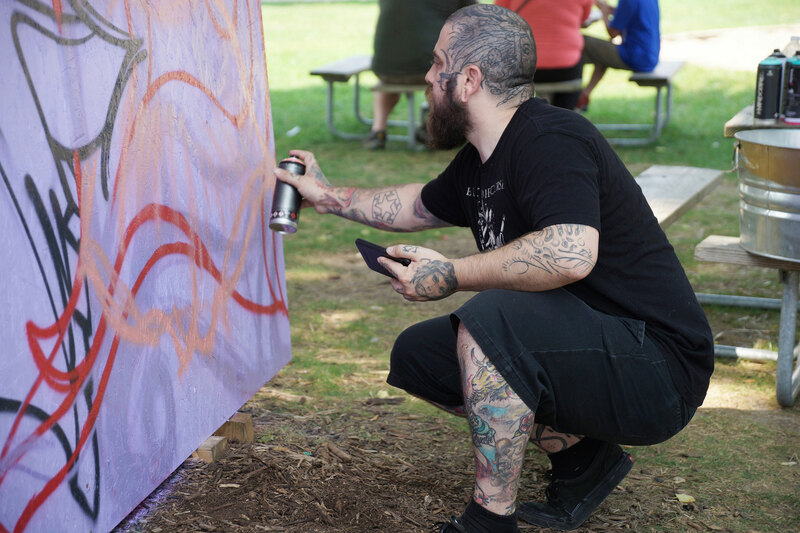 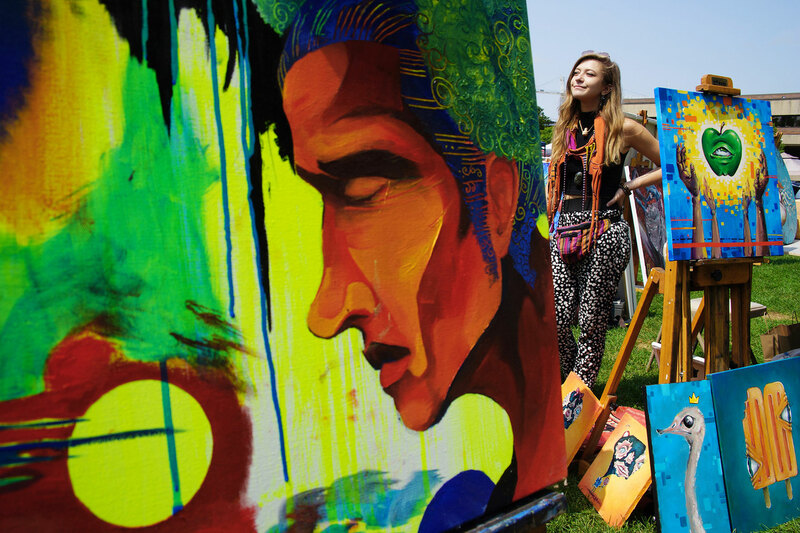 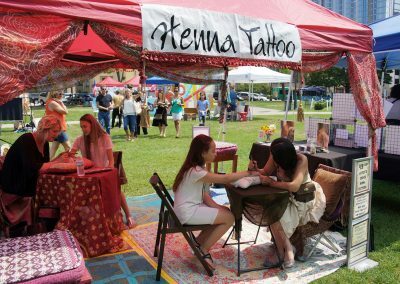 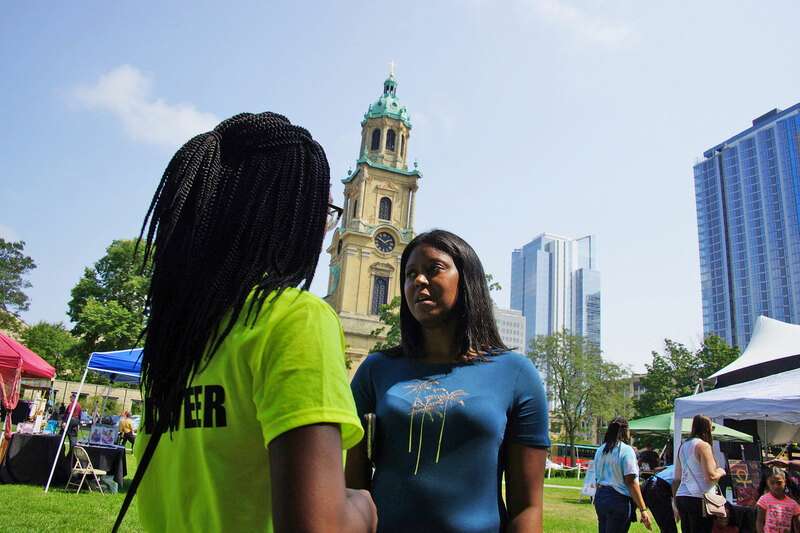 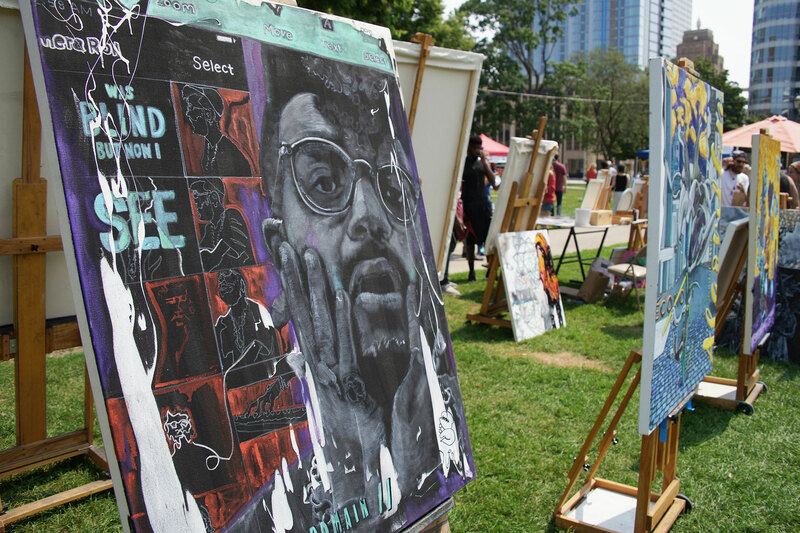 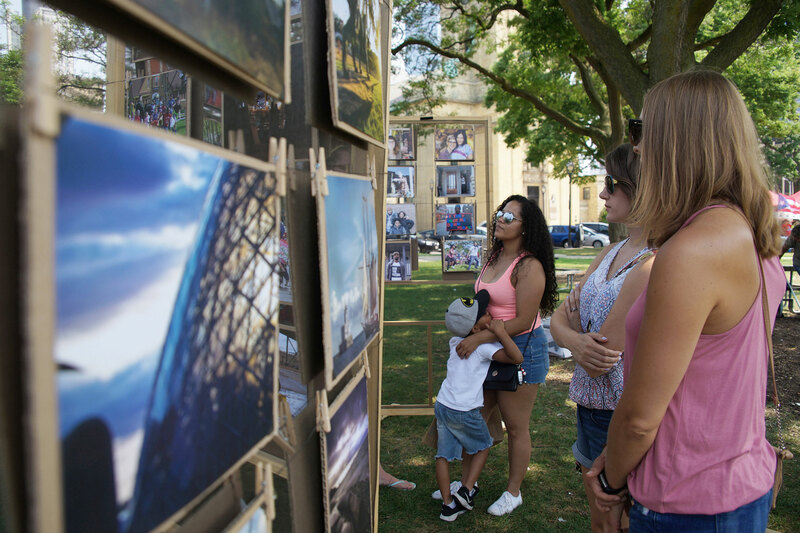 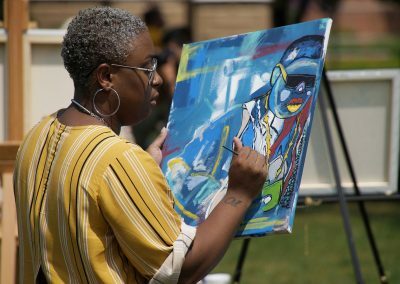 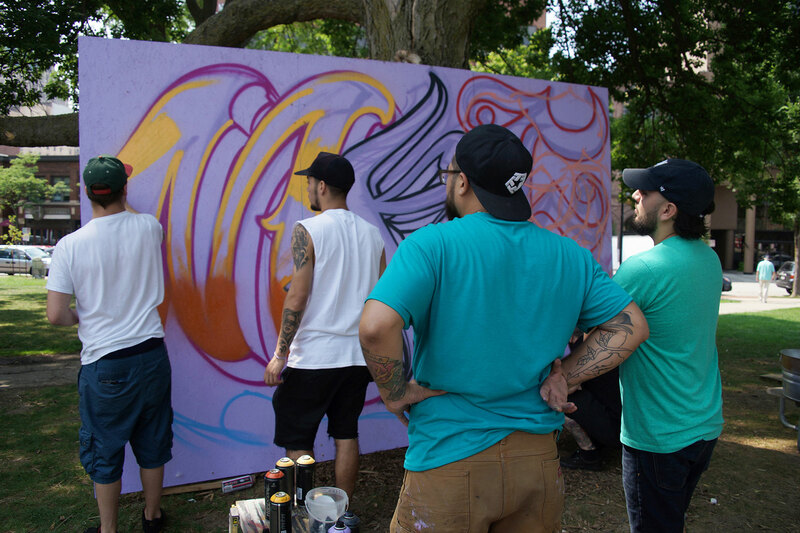 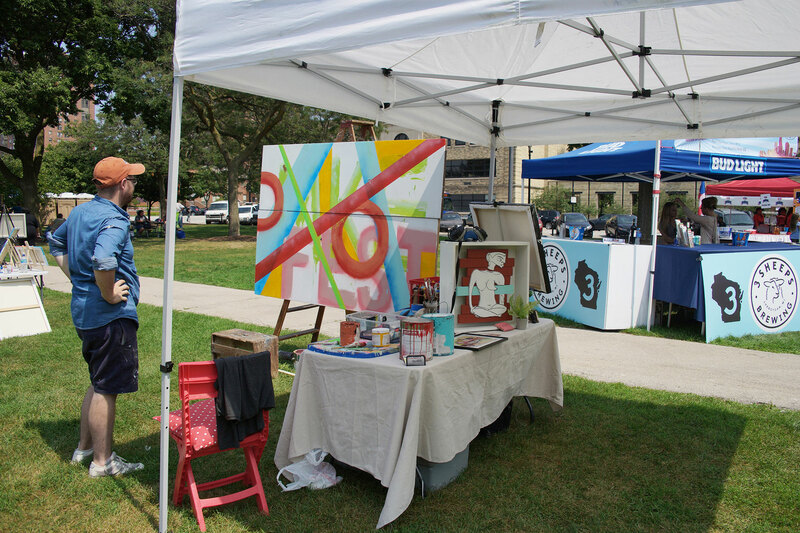 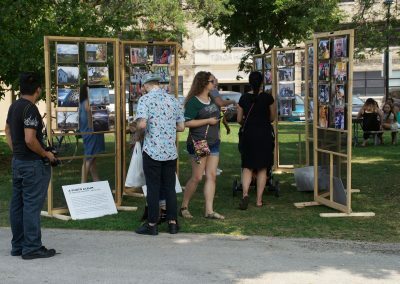 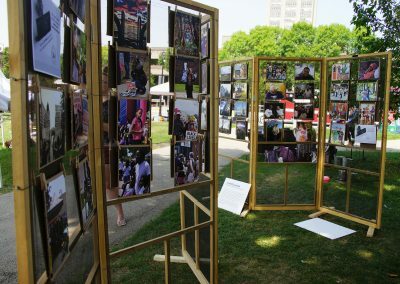 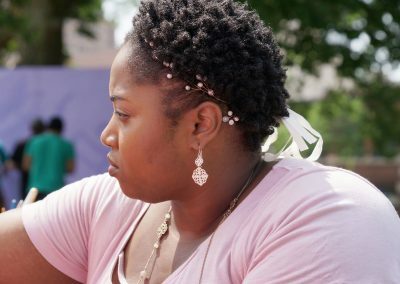 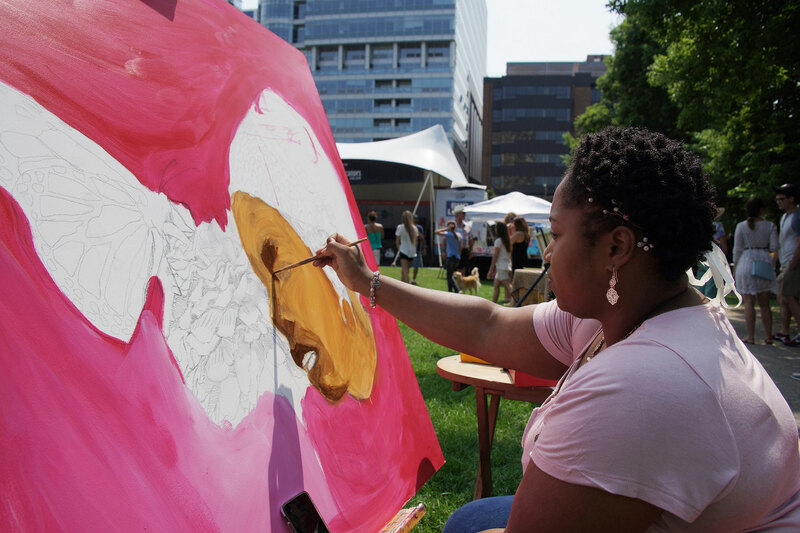 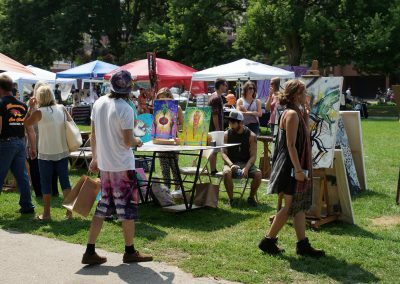 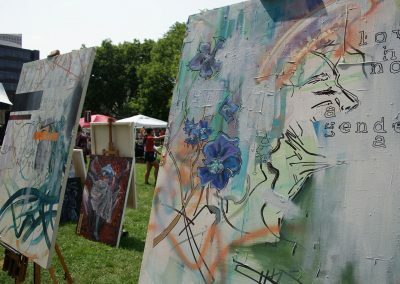 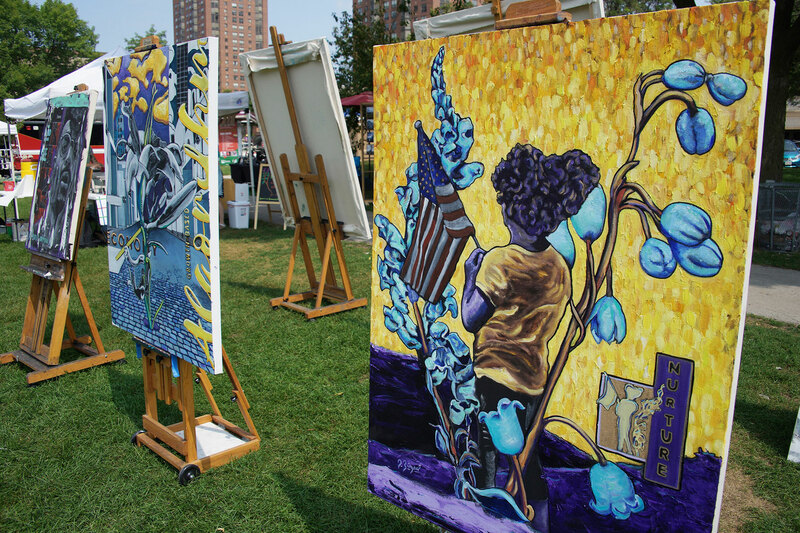 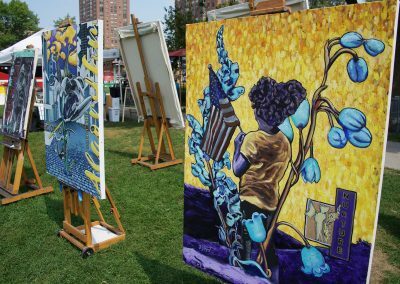 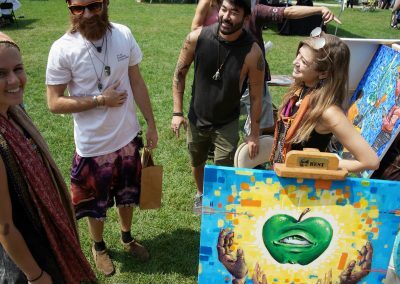 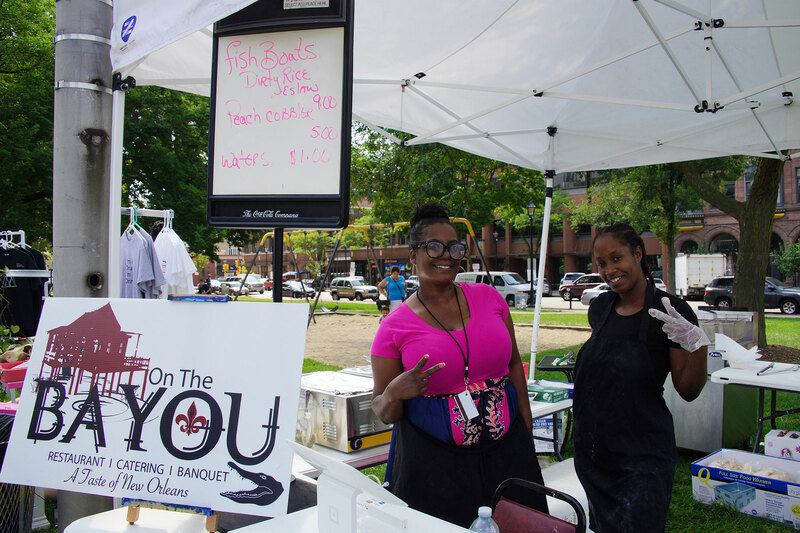 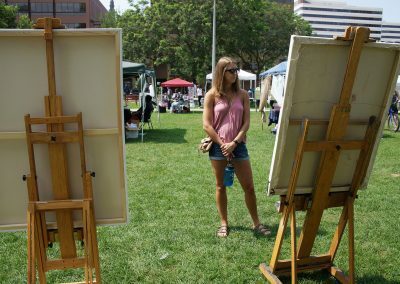 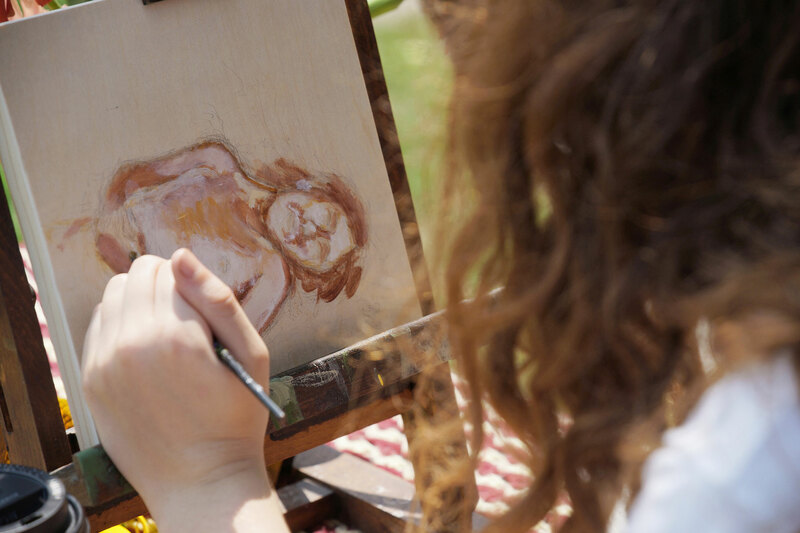 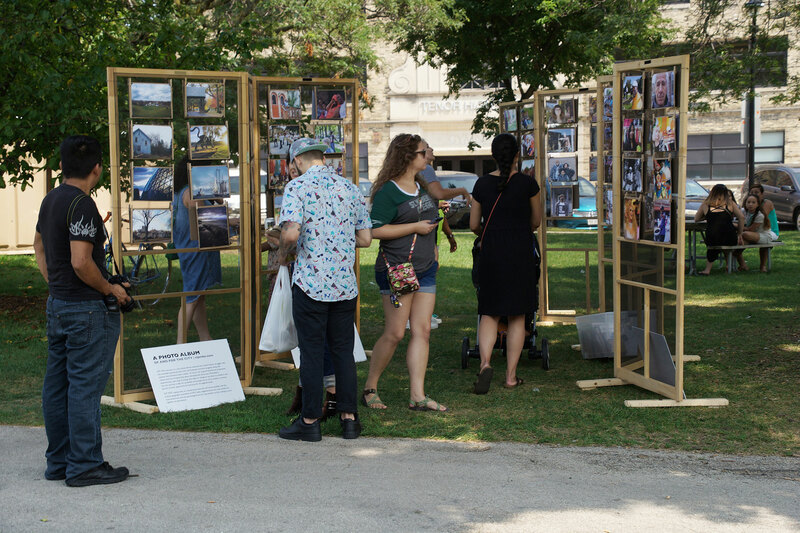 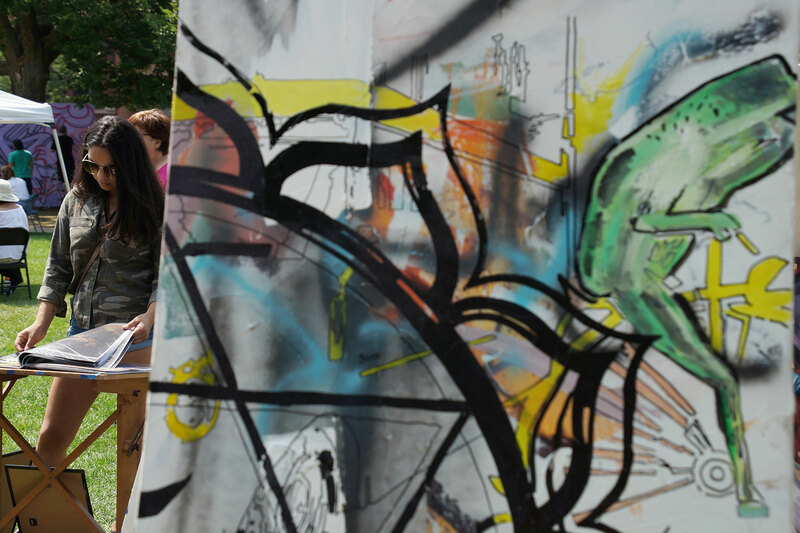 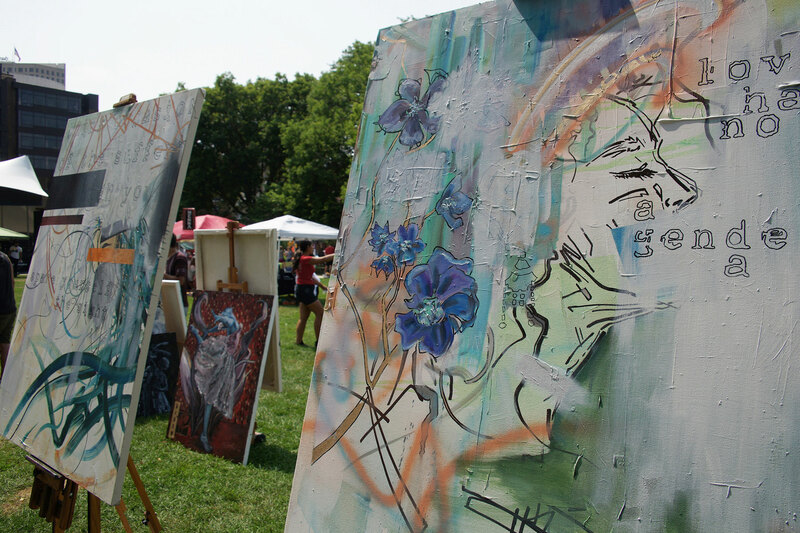 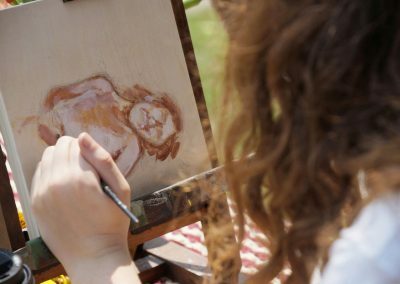 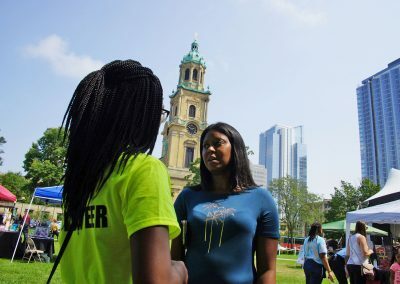 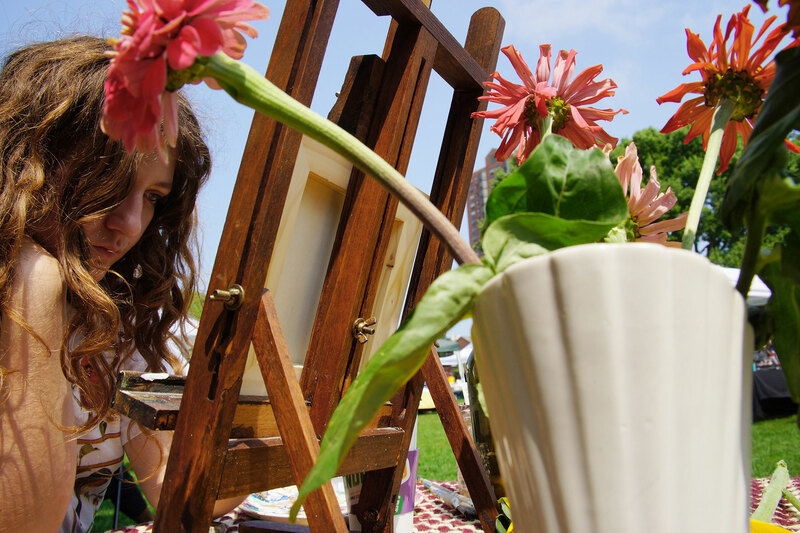 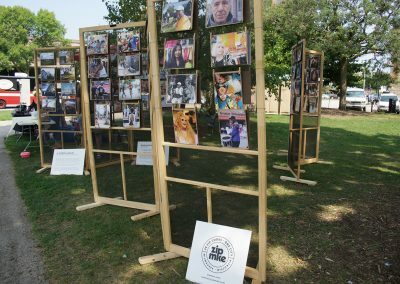 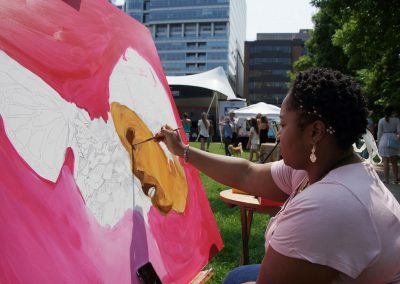 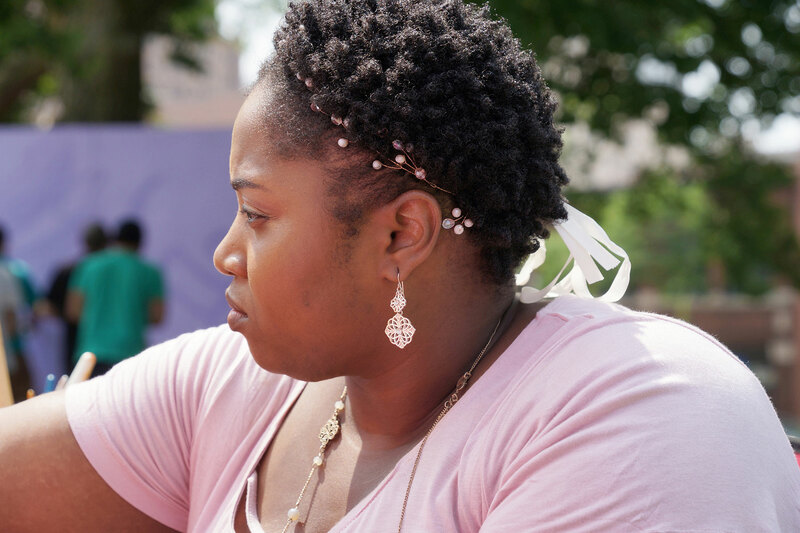 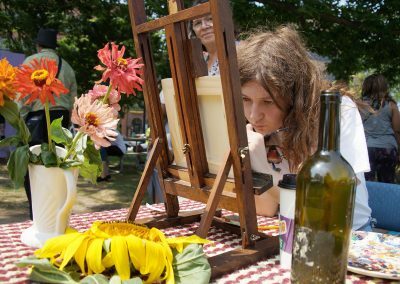 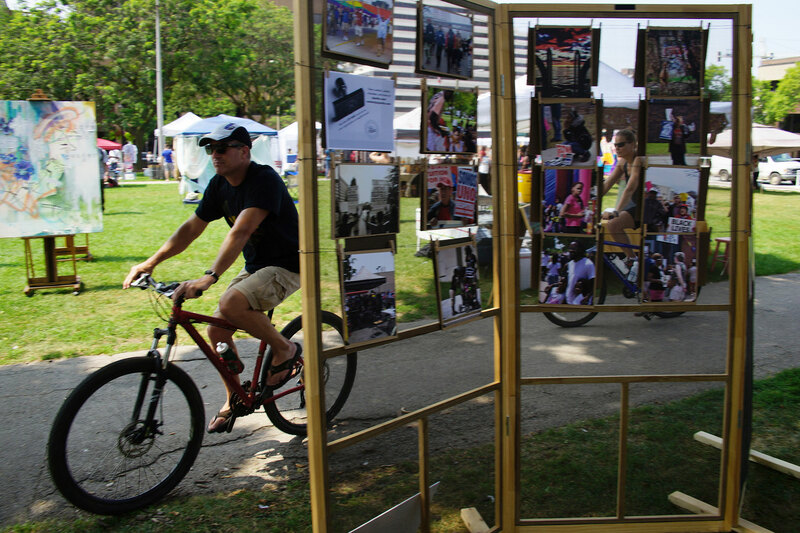 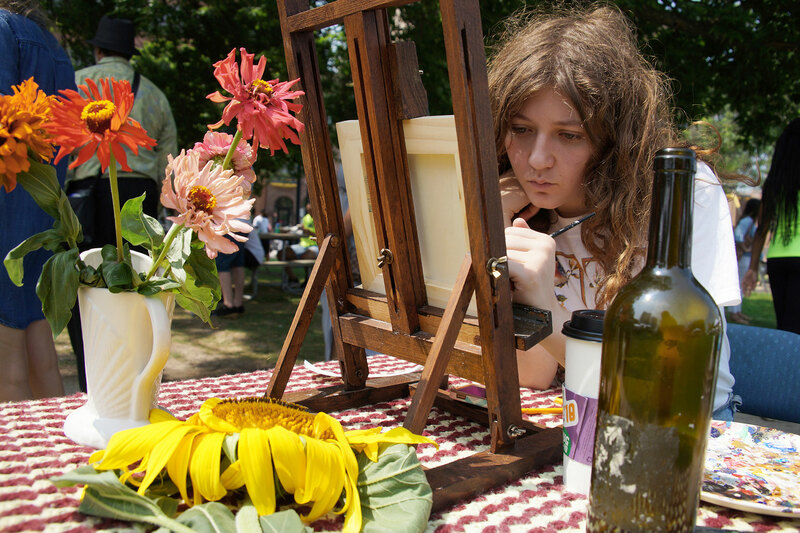 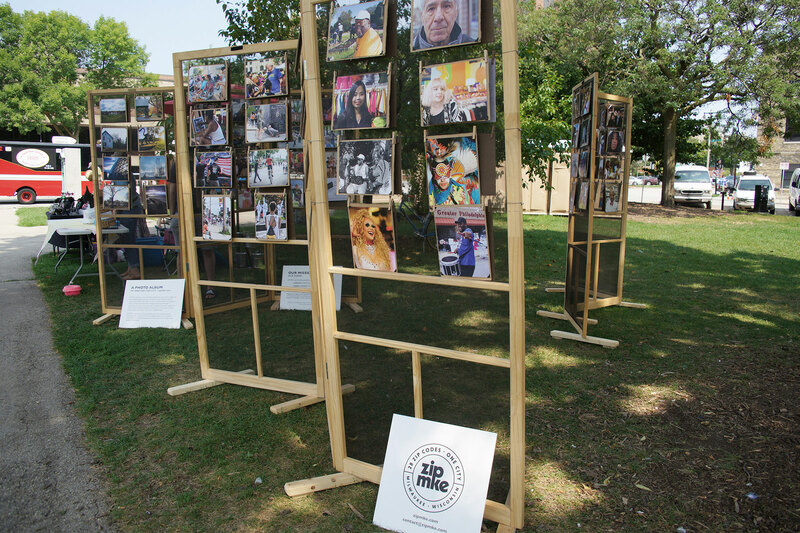 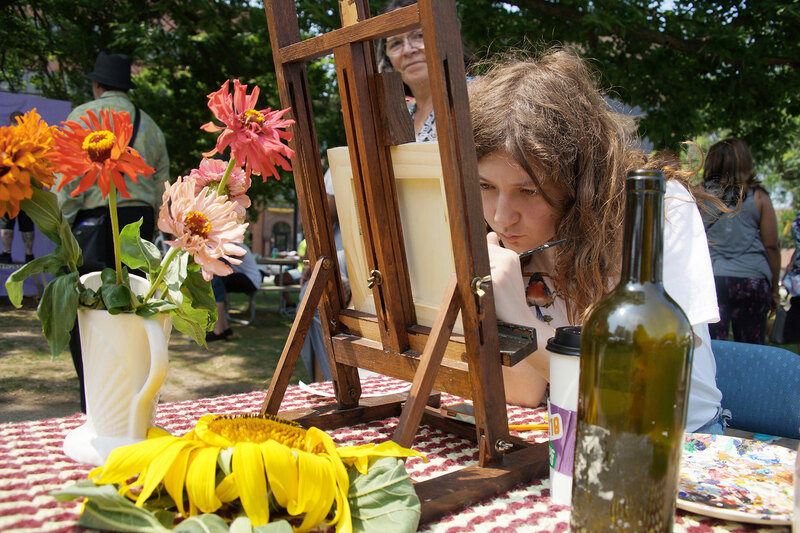 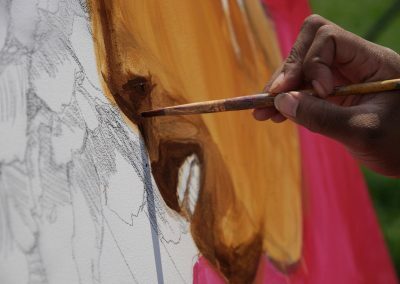 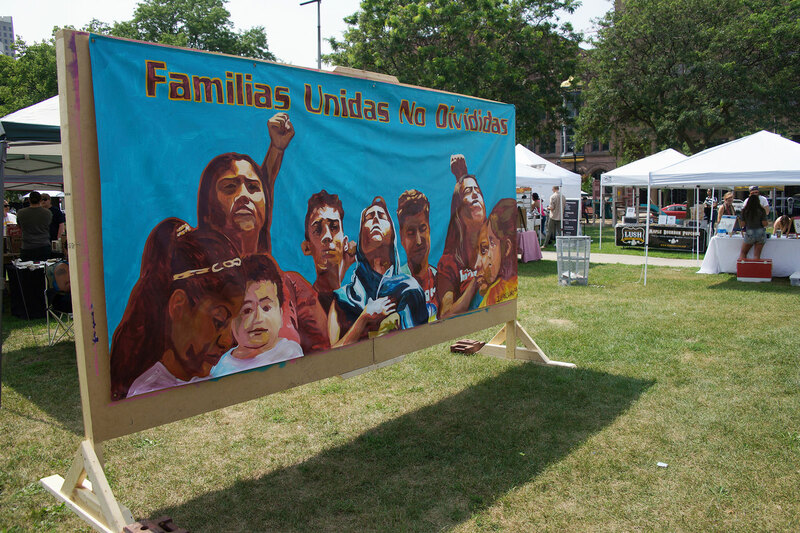 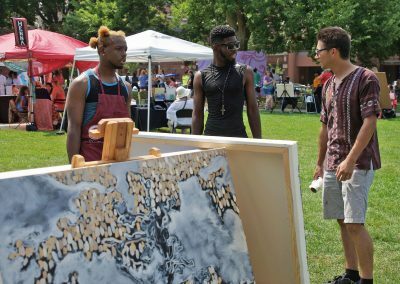 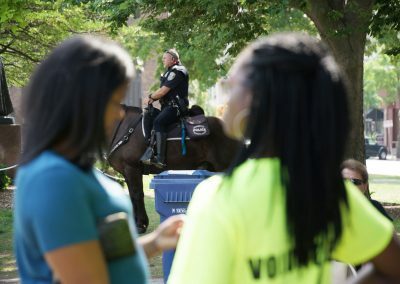 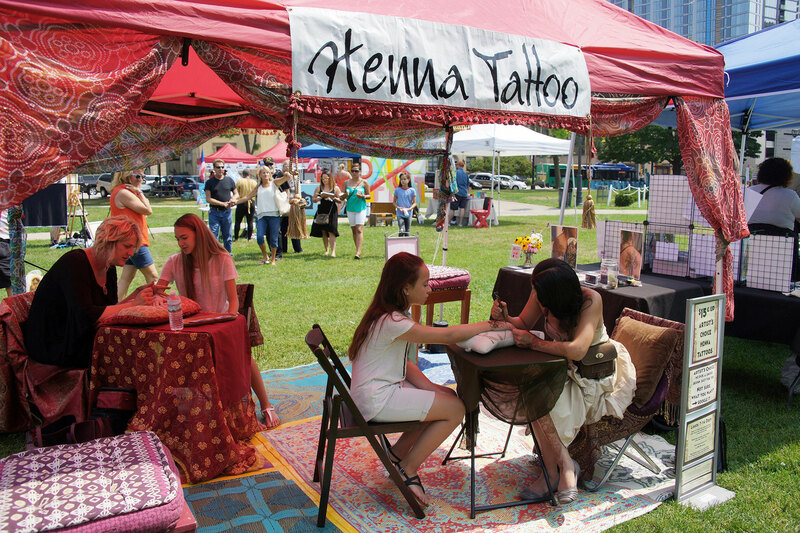 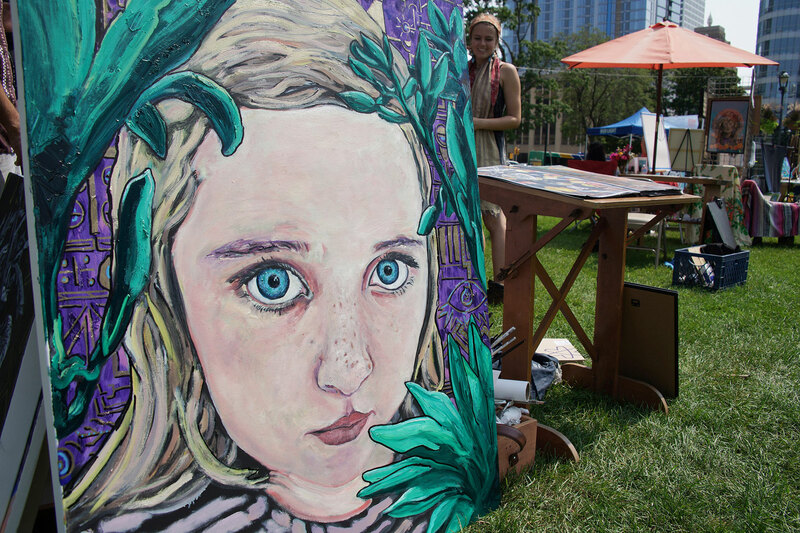 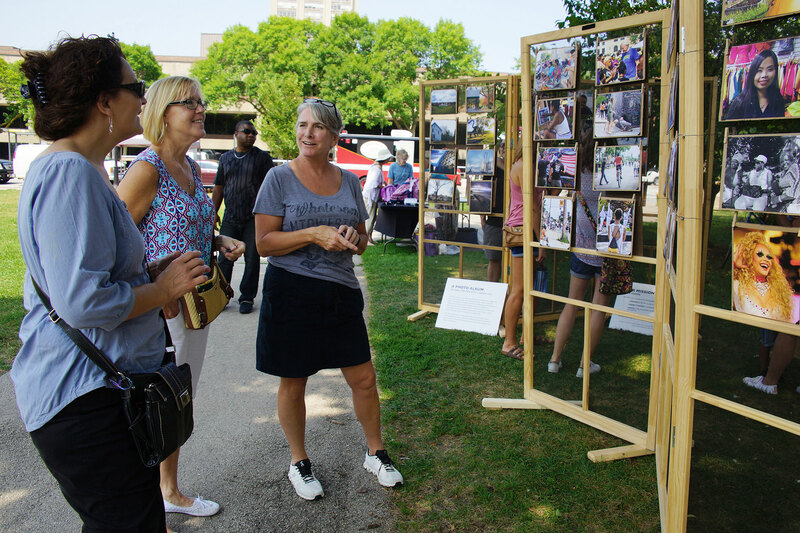 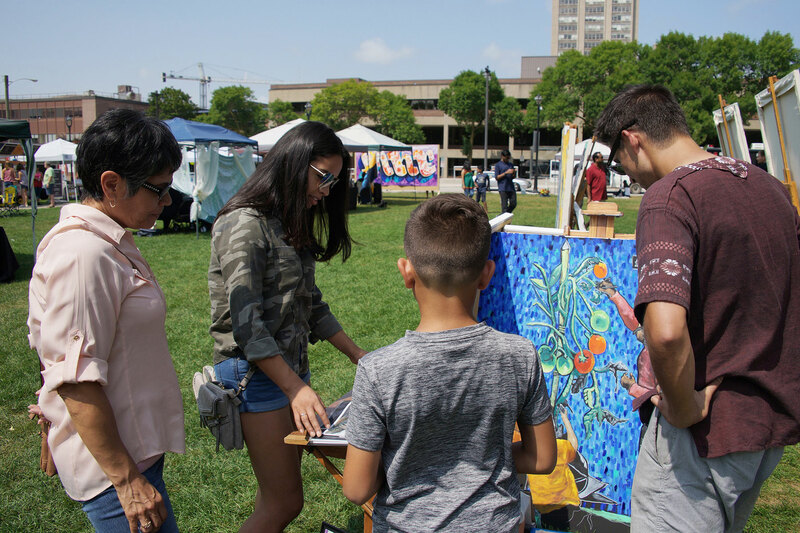 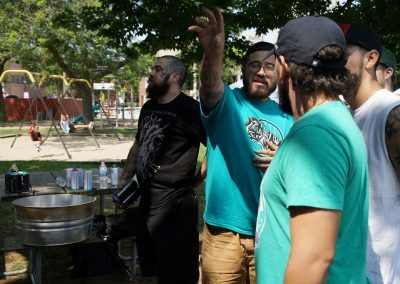 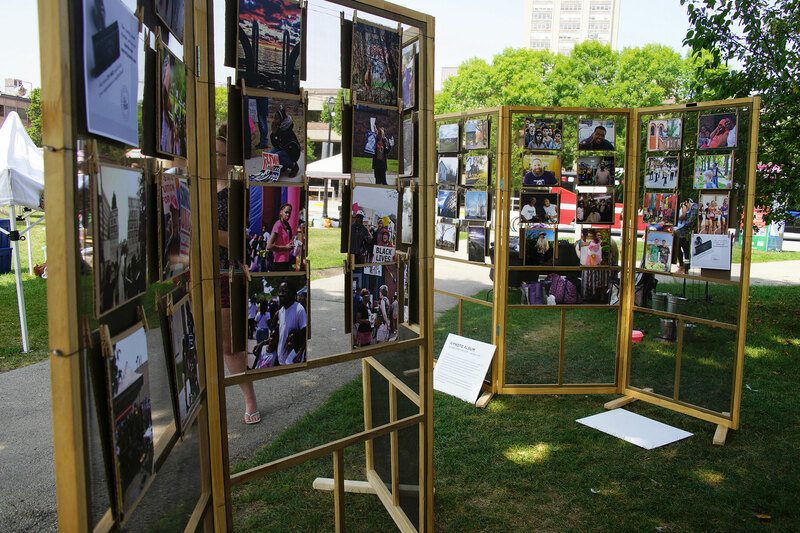 On August 19, MKEfest was held at the small county park for a day of art and music in a festival setting. 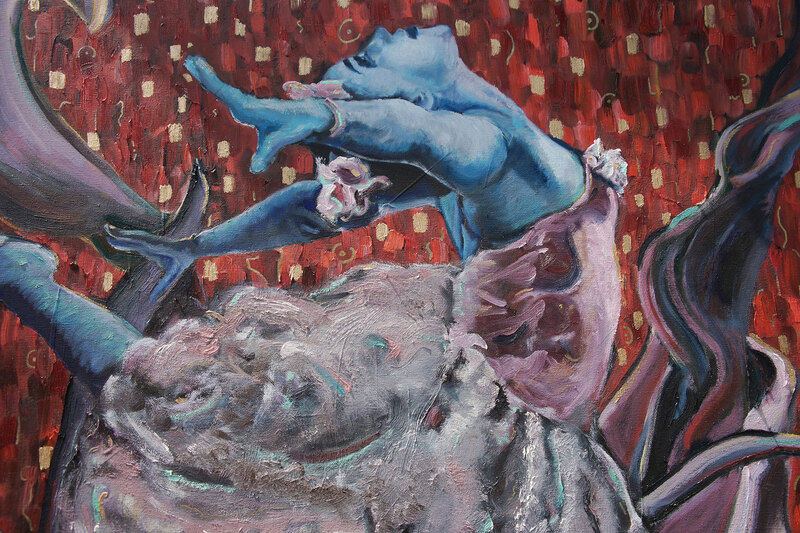 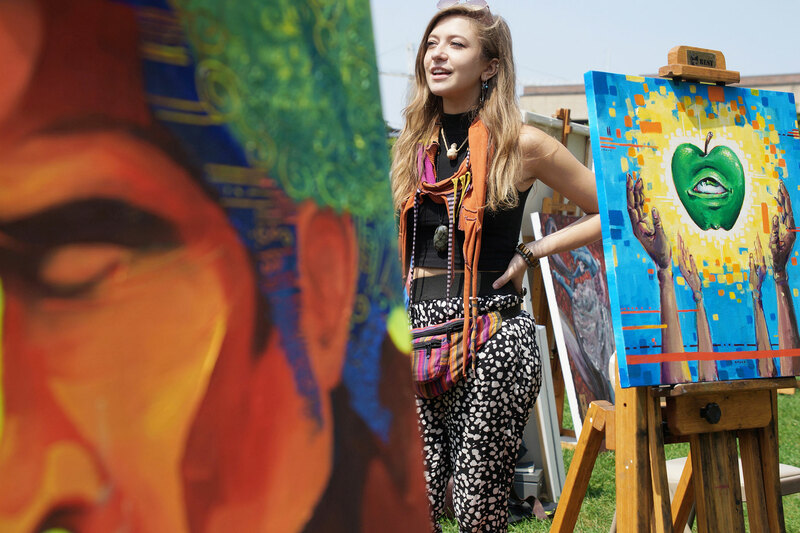 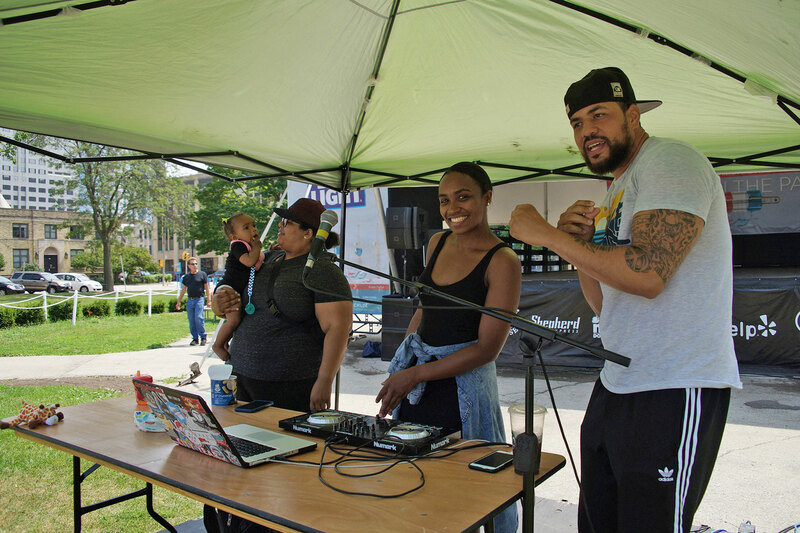 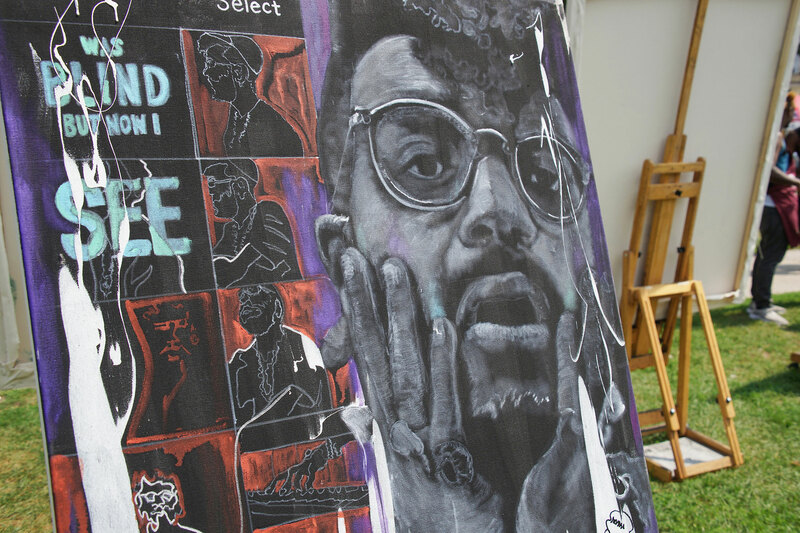 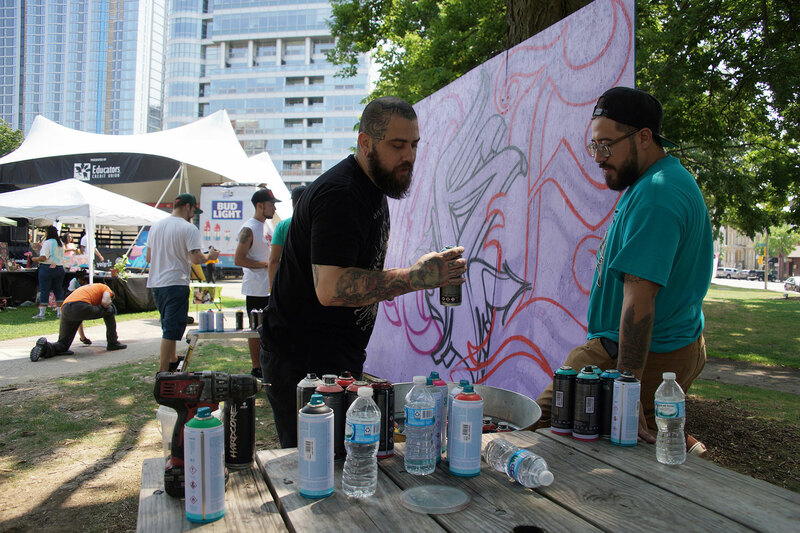 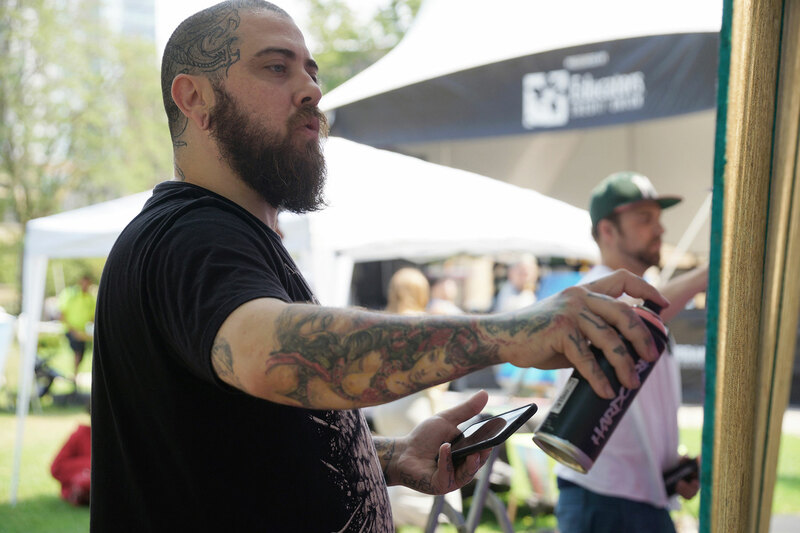 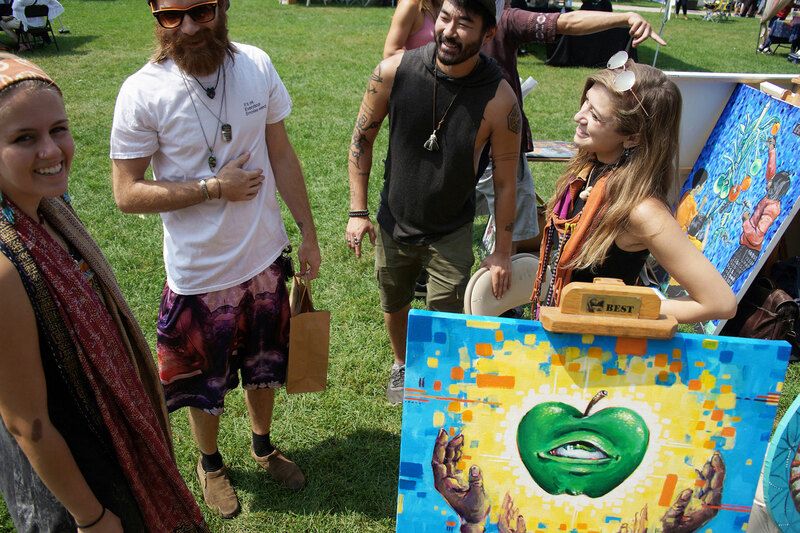 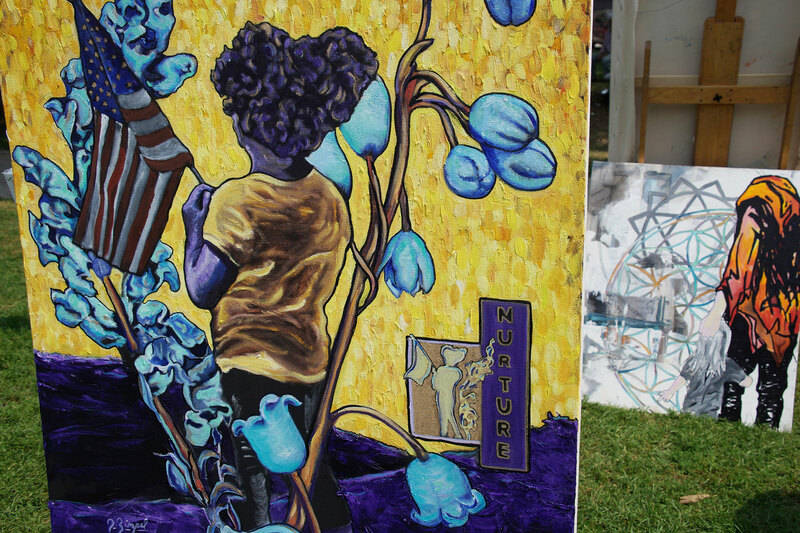 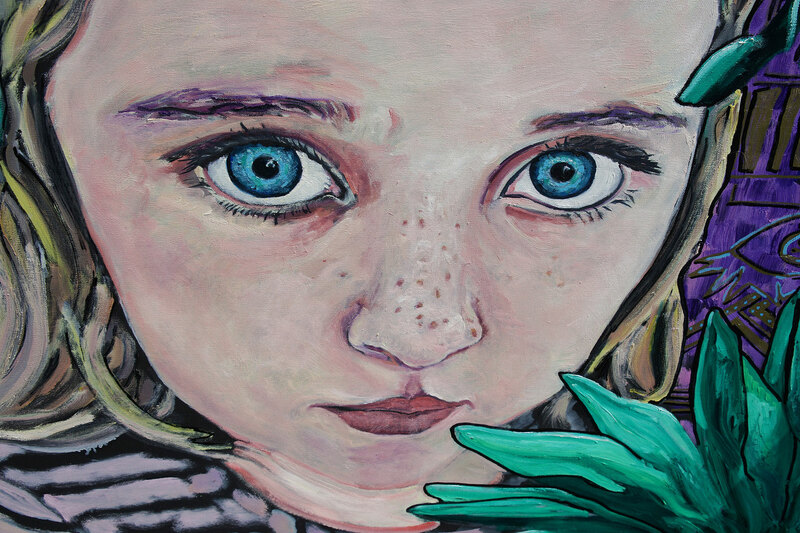 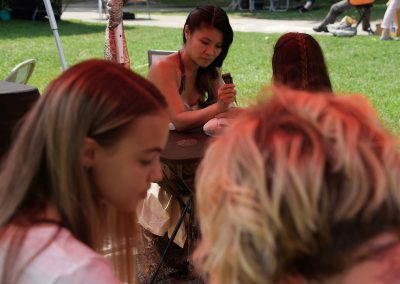 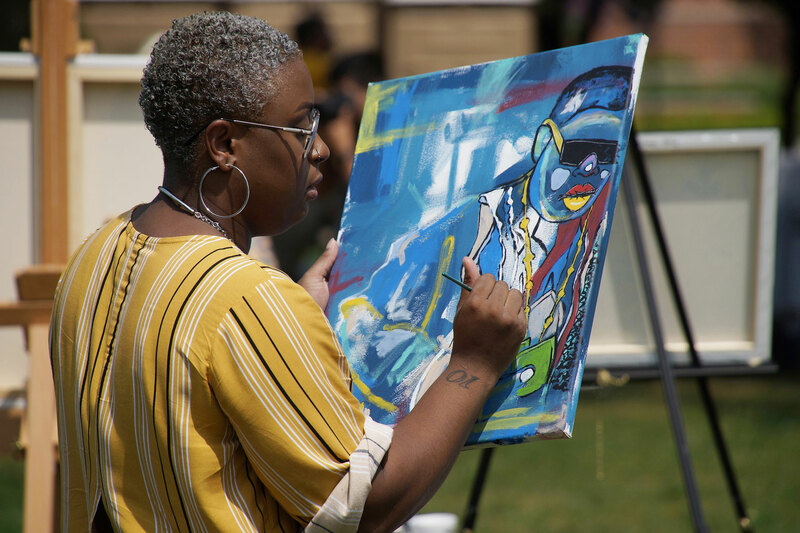 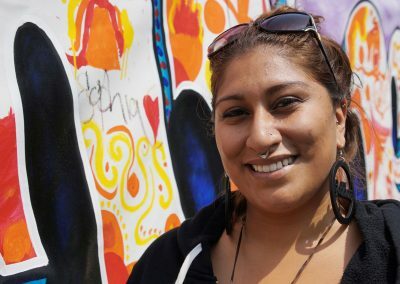 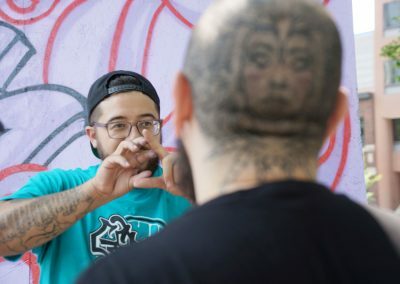 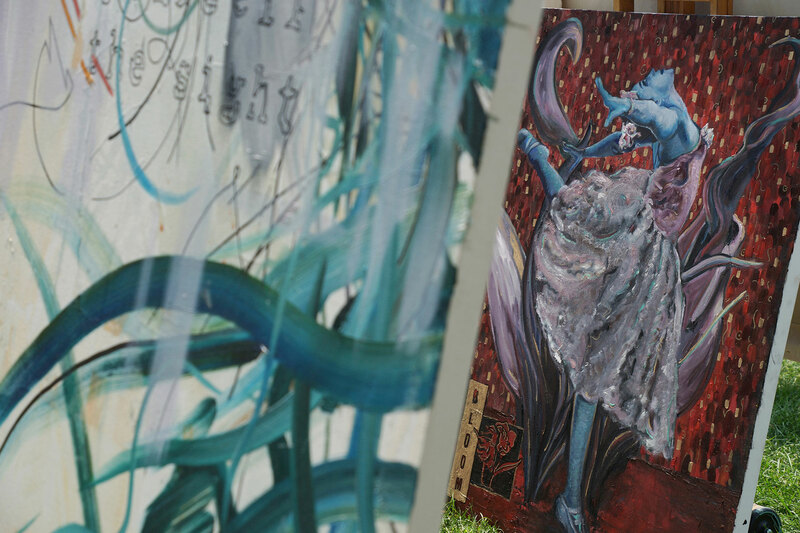 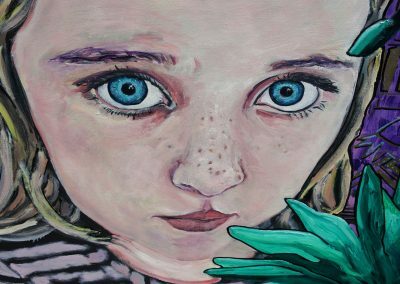 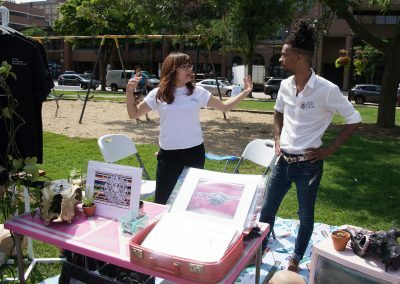 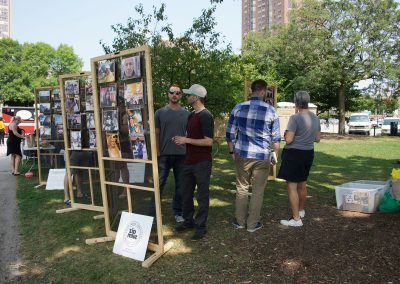 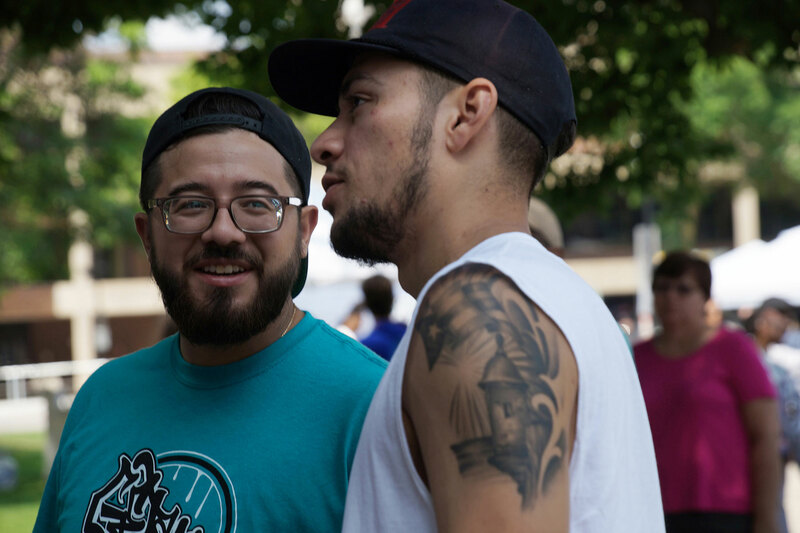 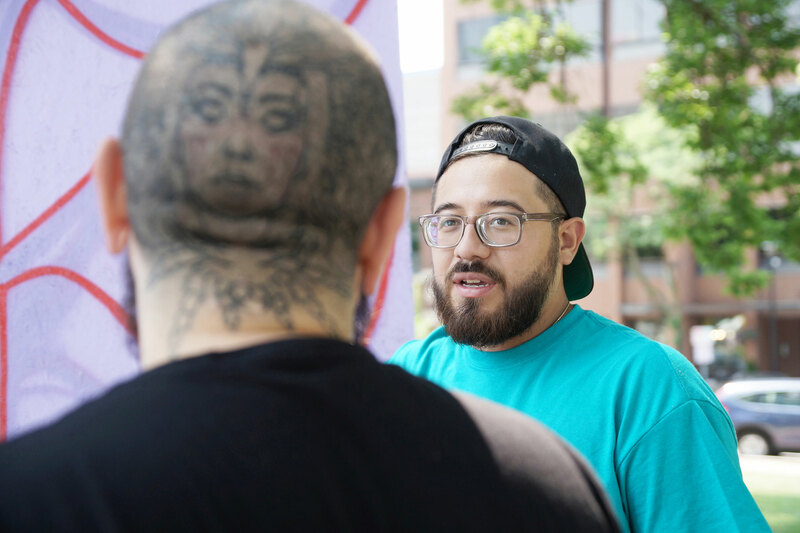 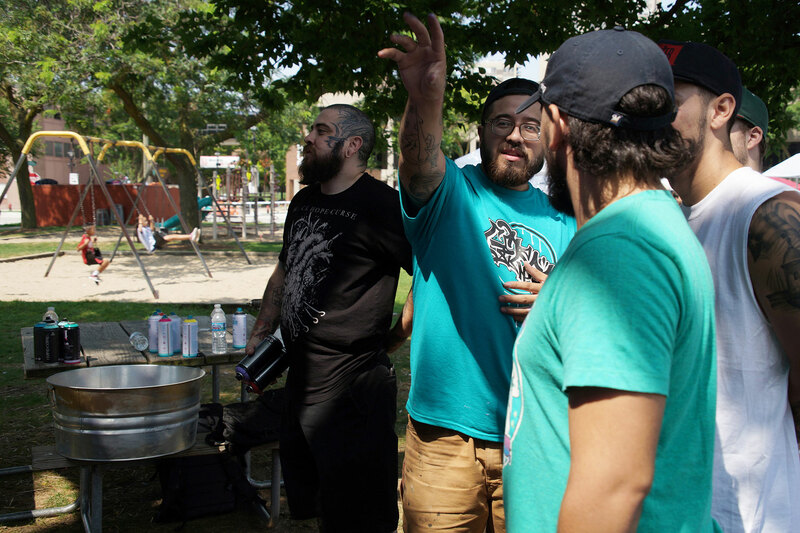 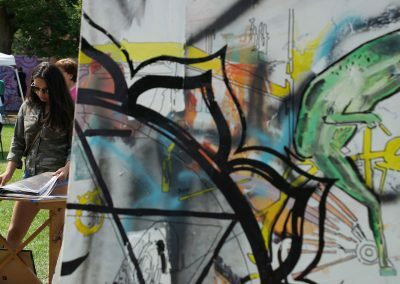 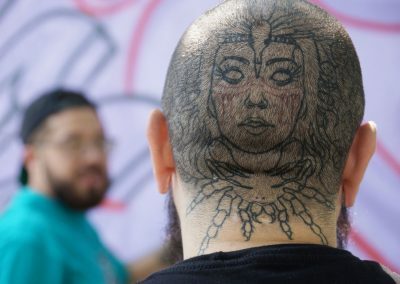 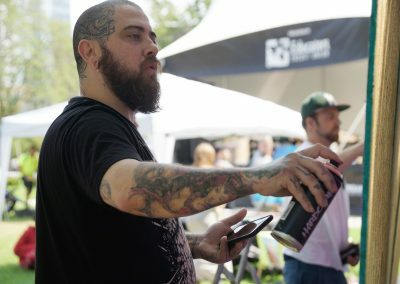 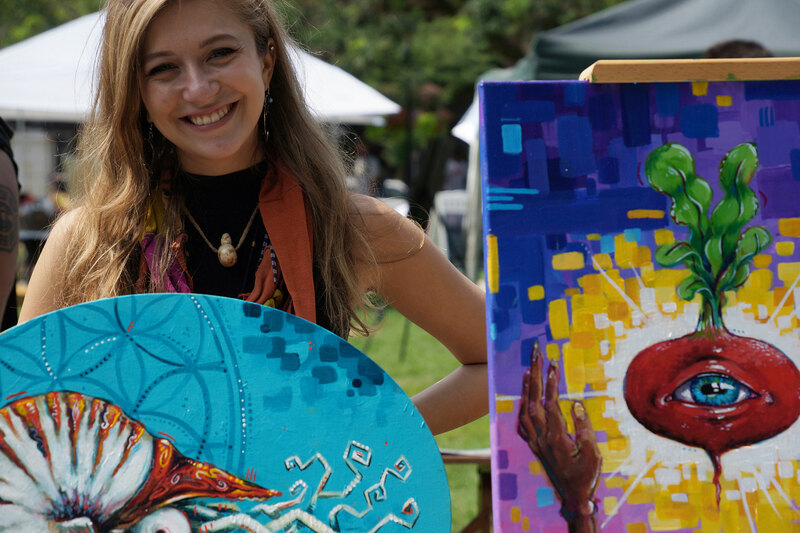 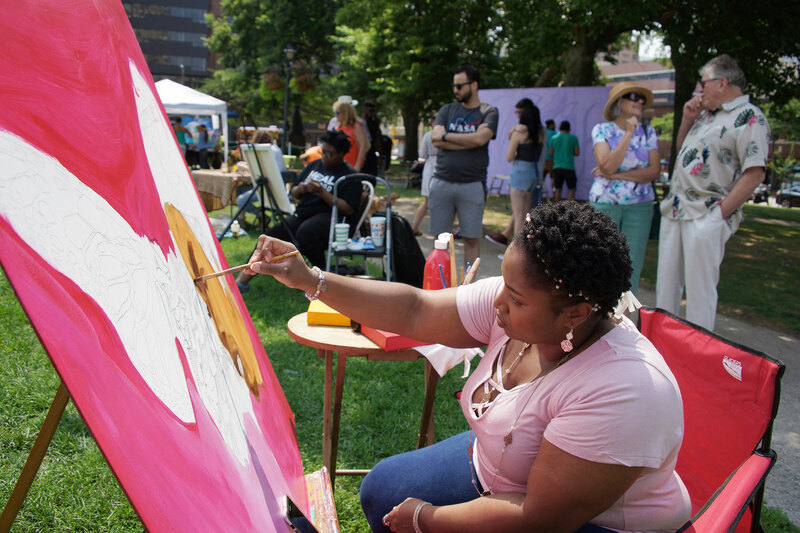 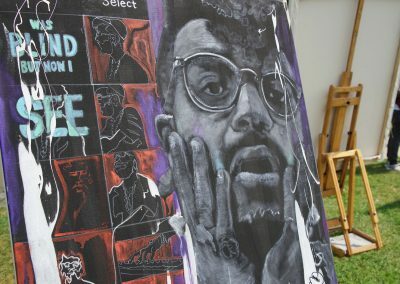 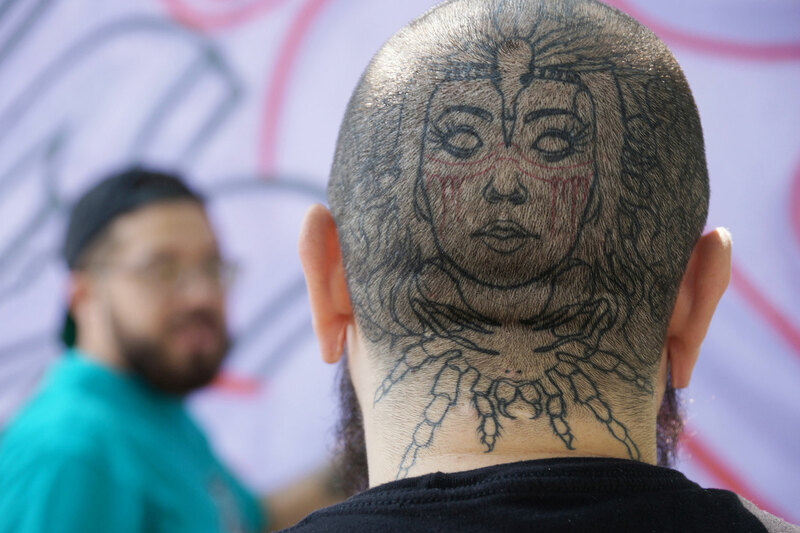 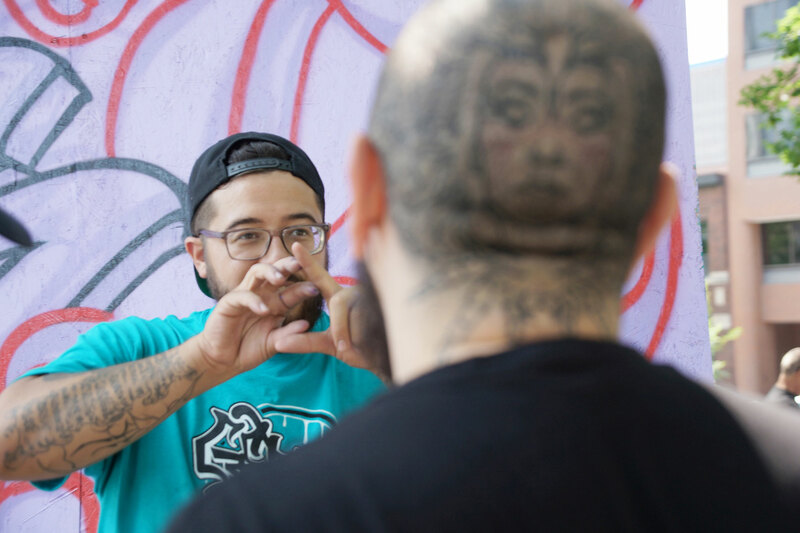 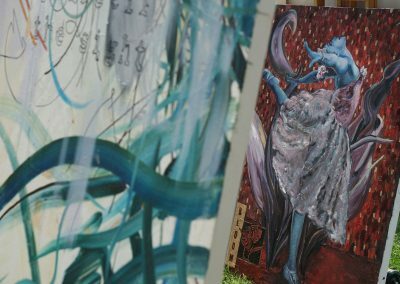 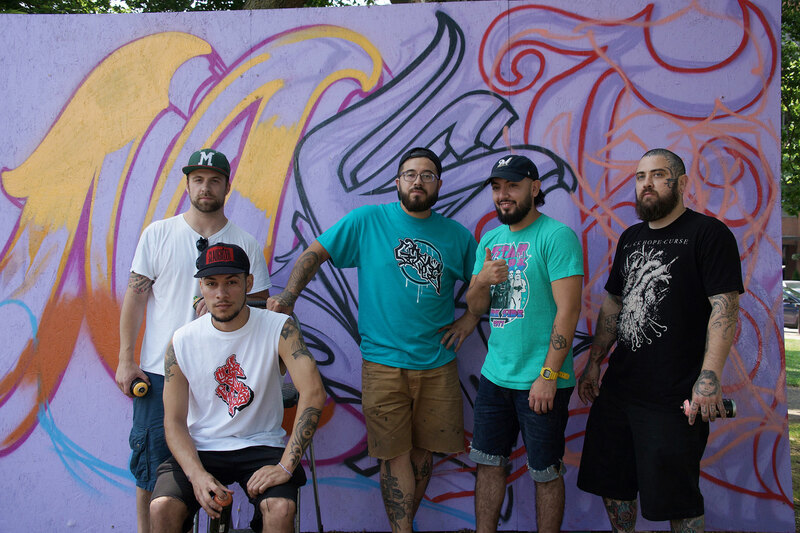 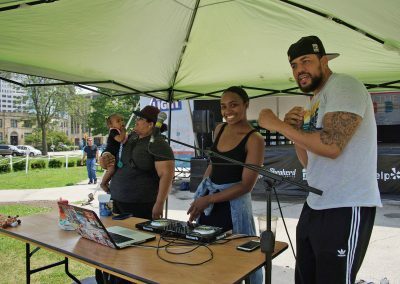 Organized by SamanthaStarr Events, the venue was used as an open platform for local visual artists to interact with the community, and to raise awareness of the arts in surrounding areas. 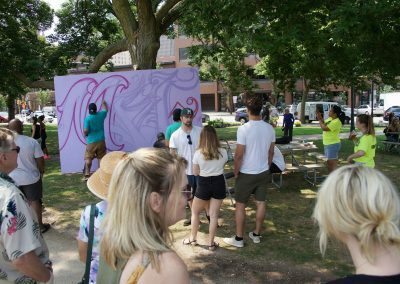 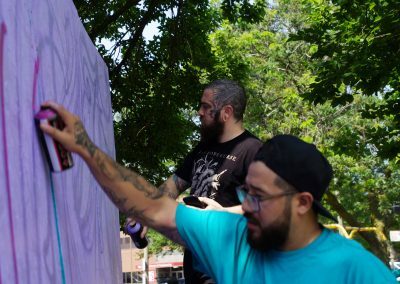 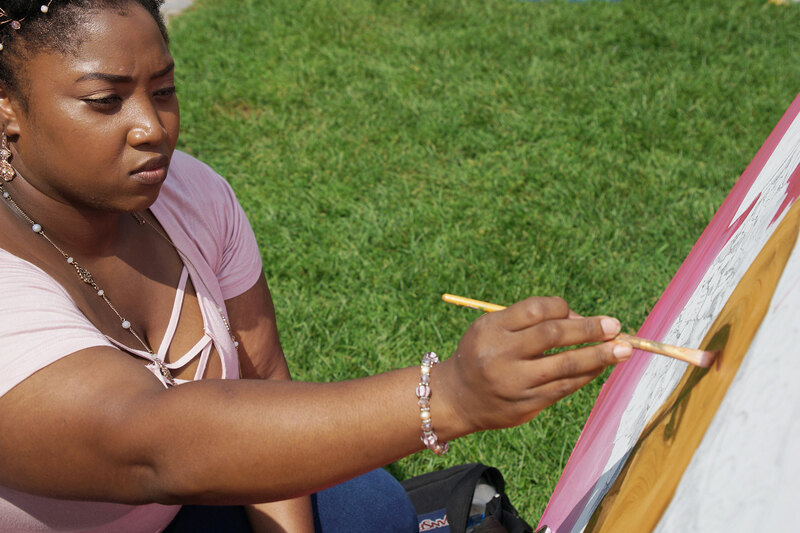 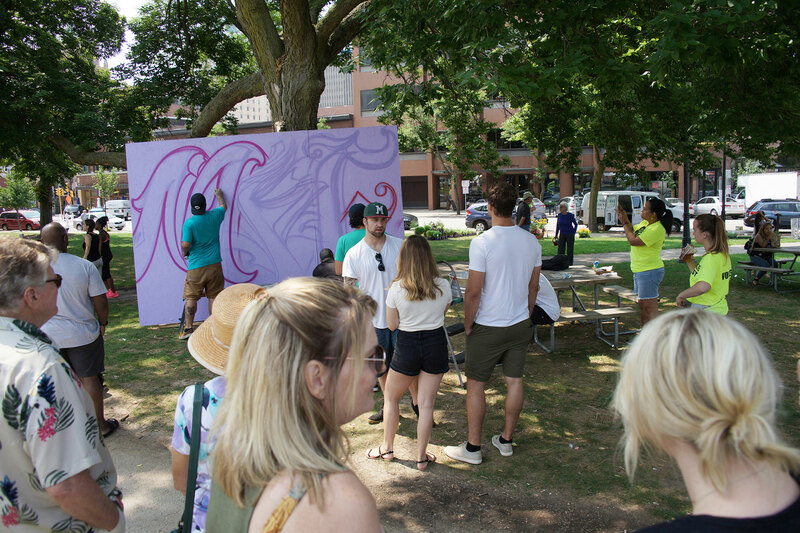 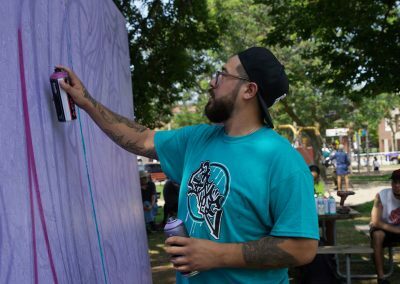 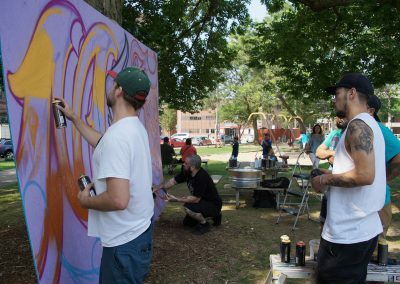 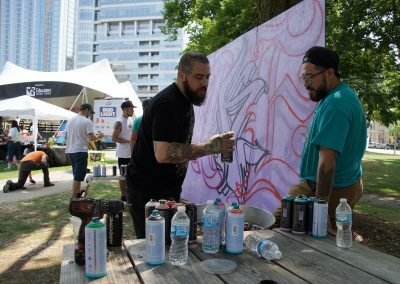 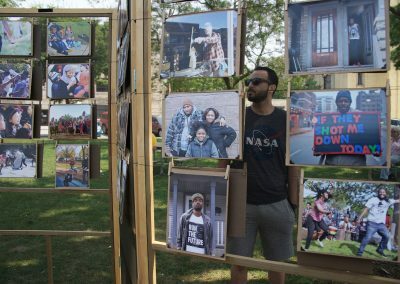 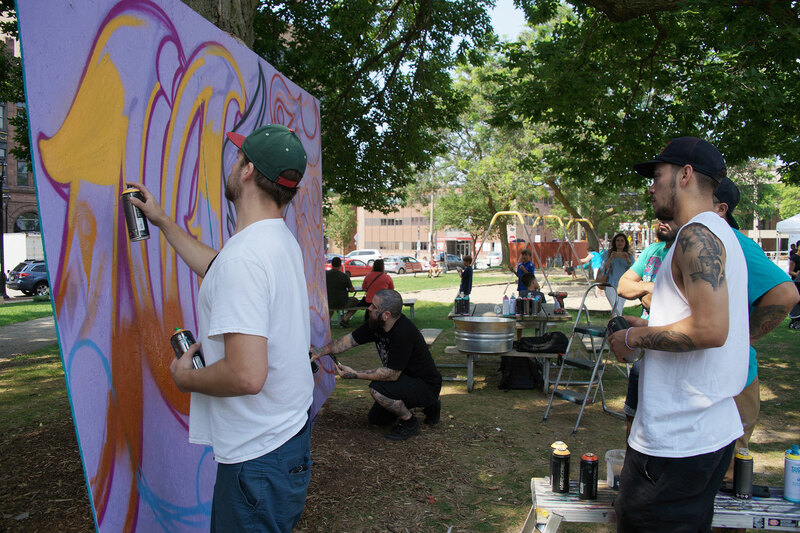 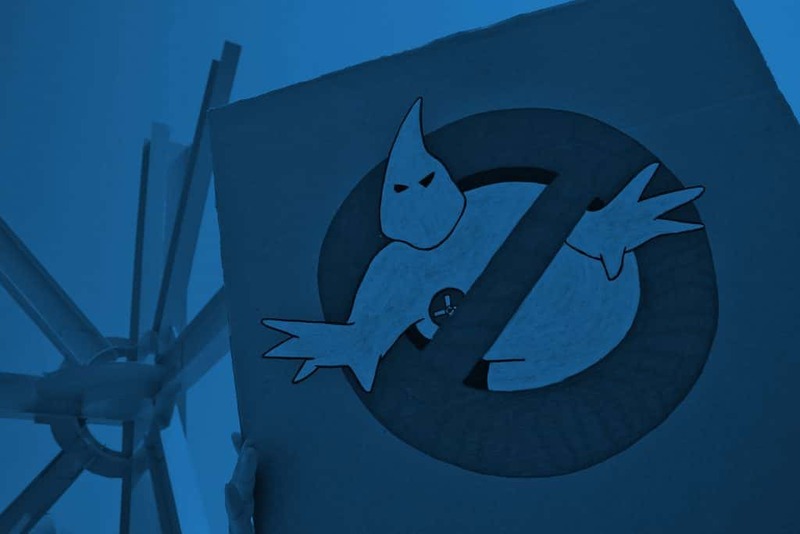 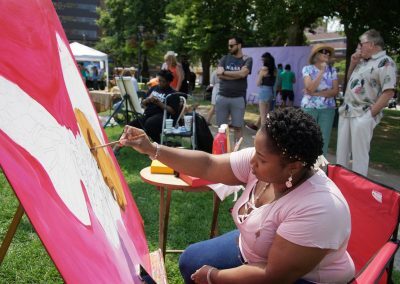 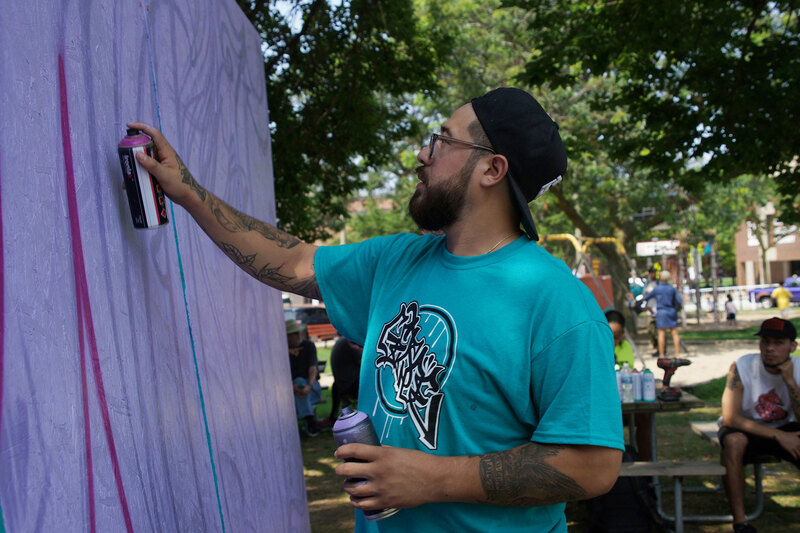 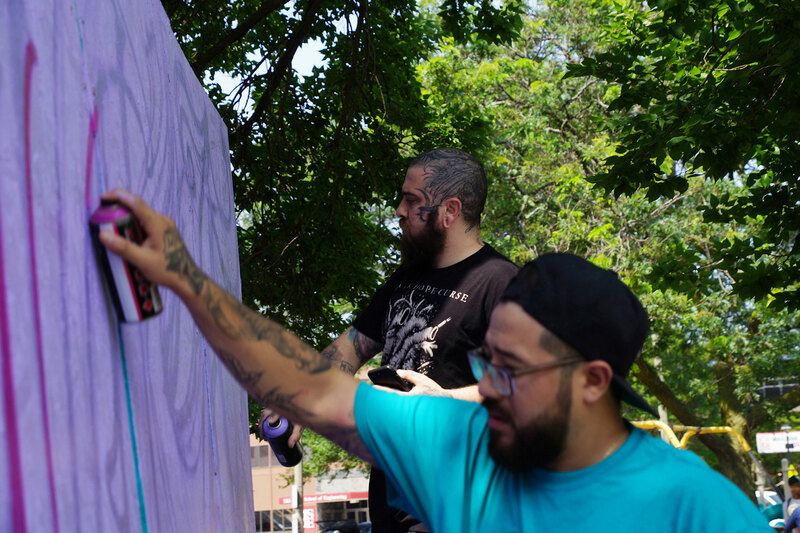 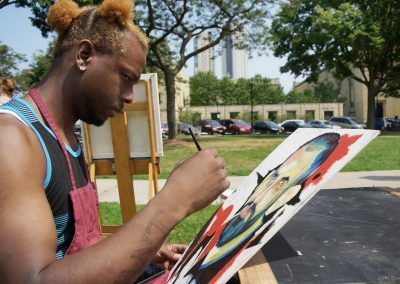 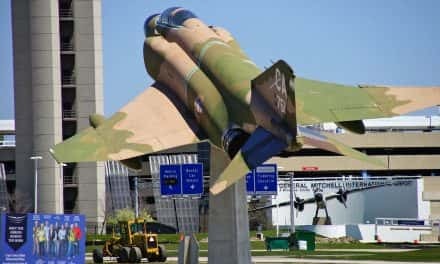 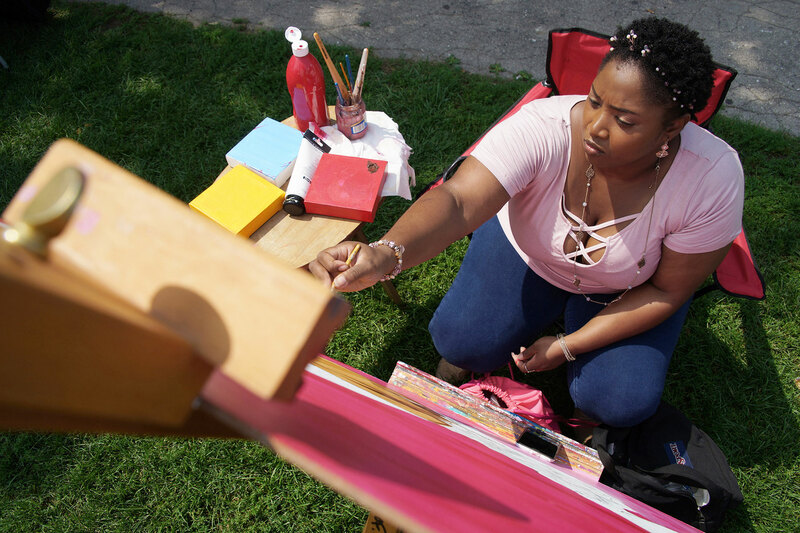 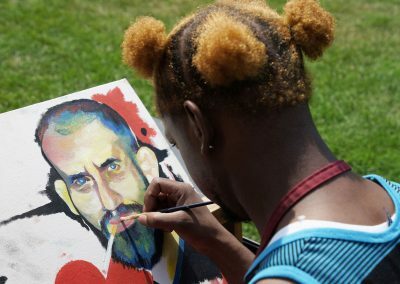 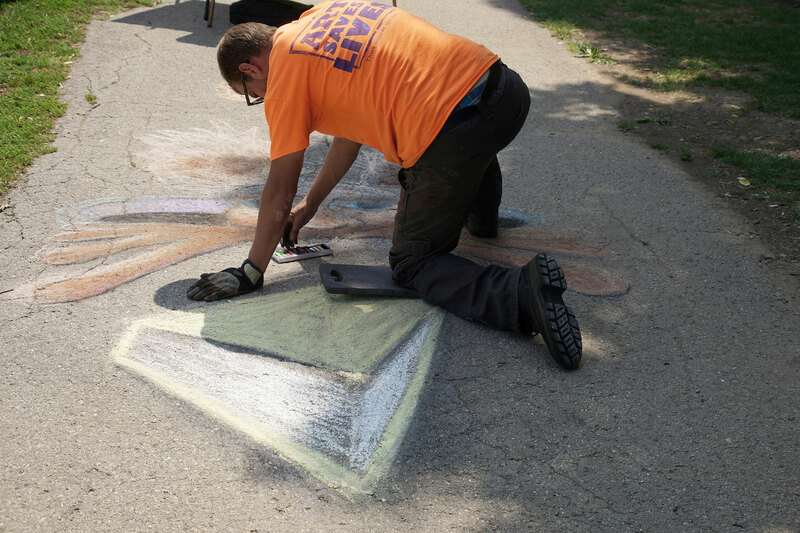 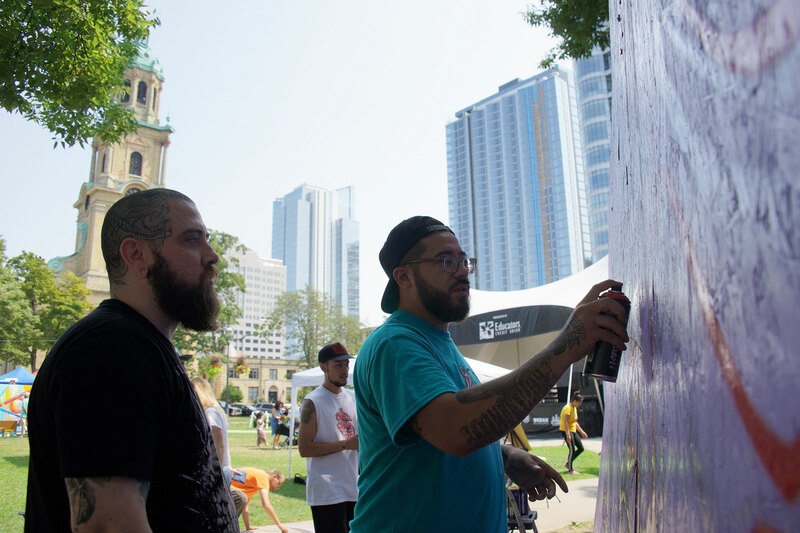 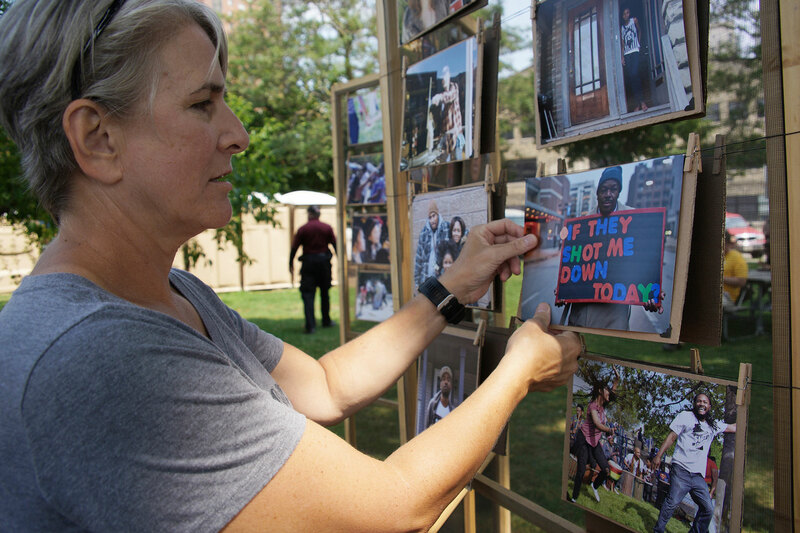 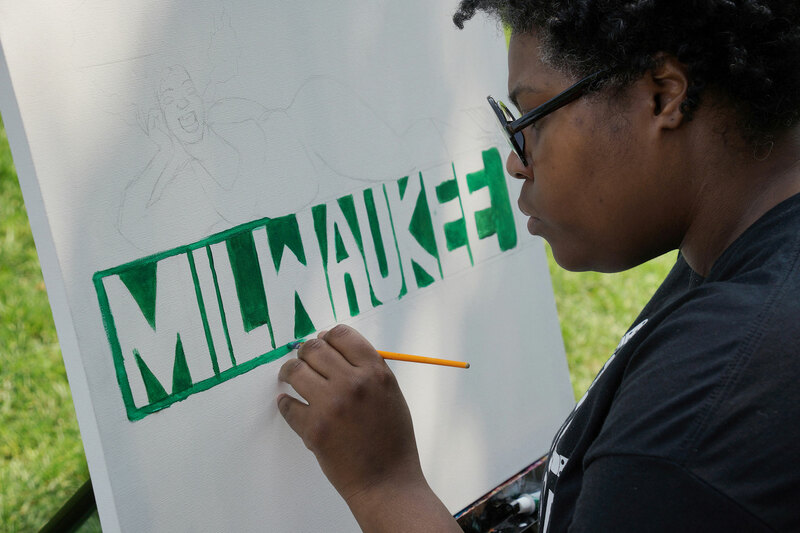 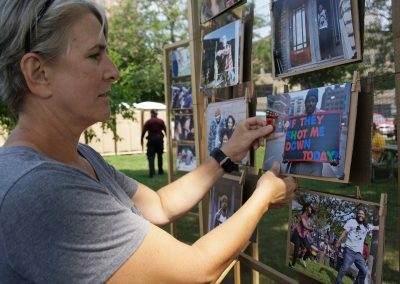 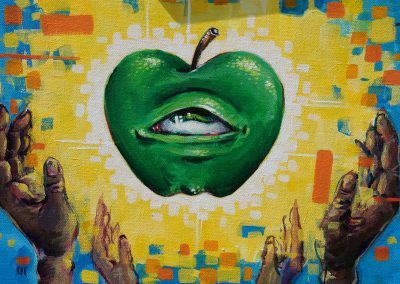 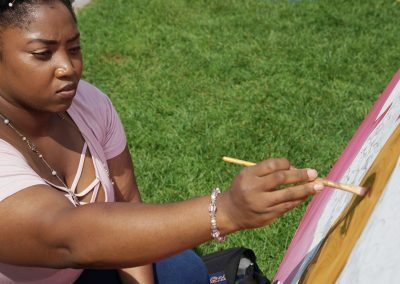 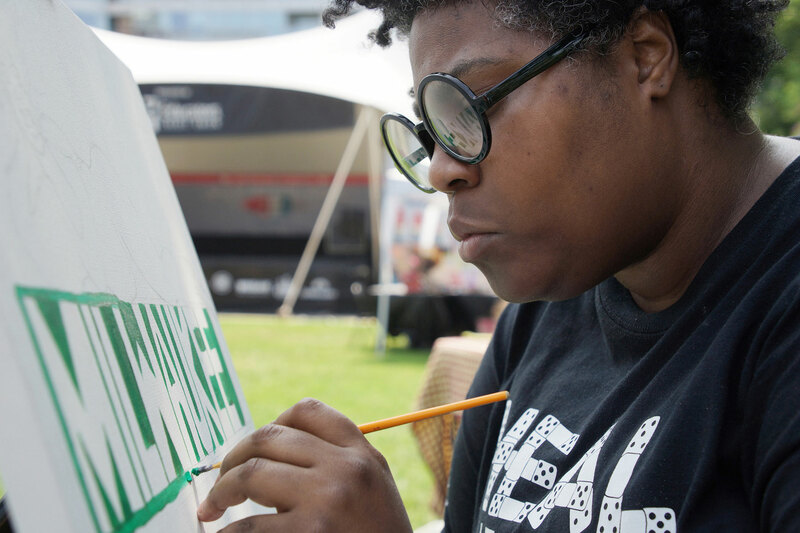 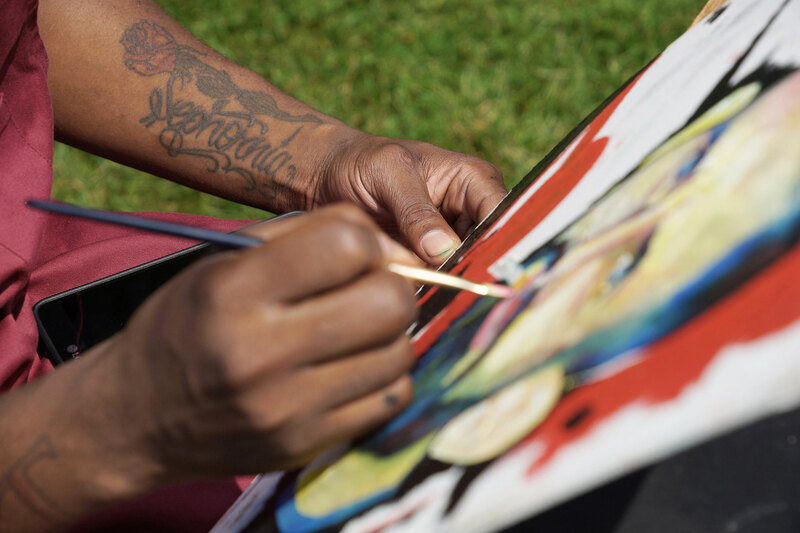 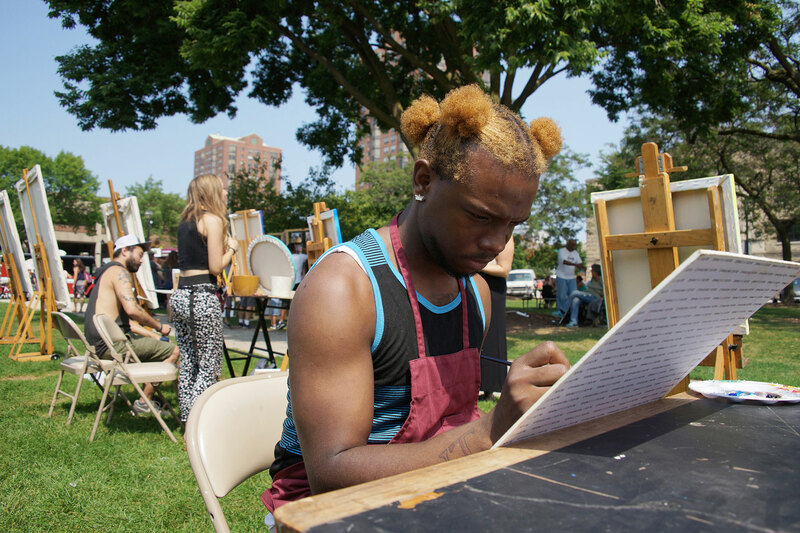 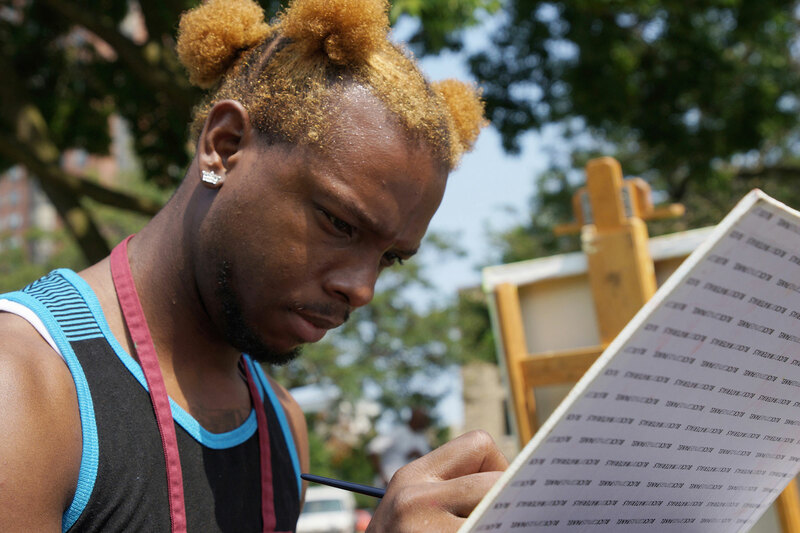 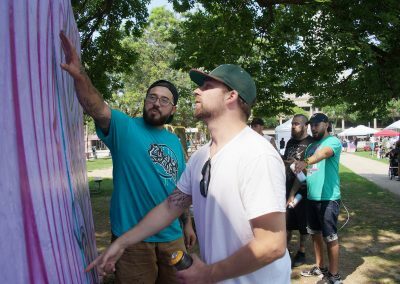 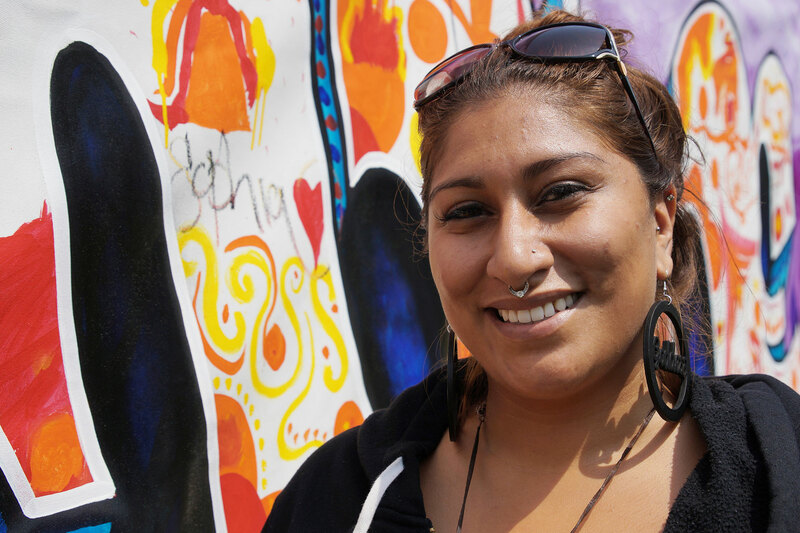 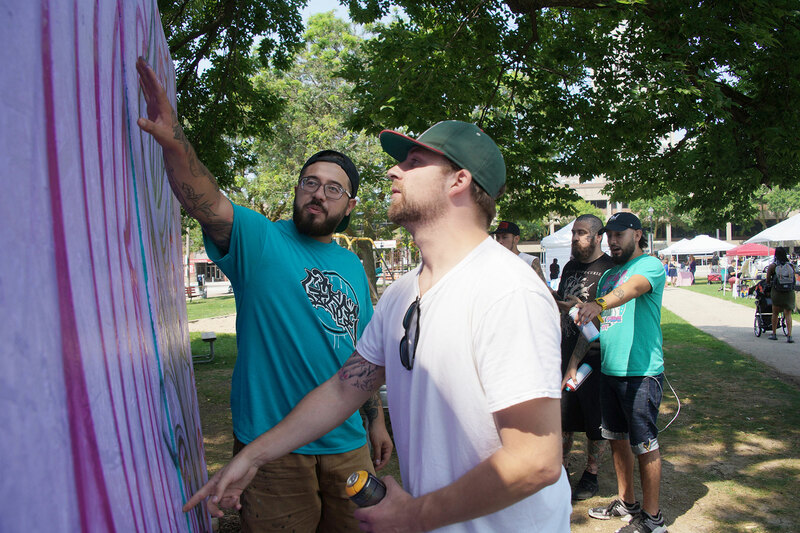 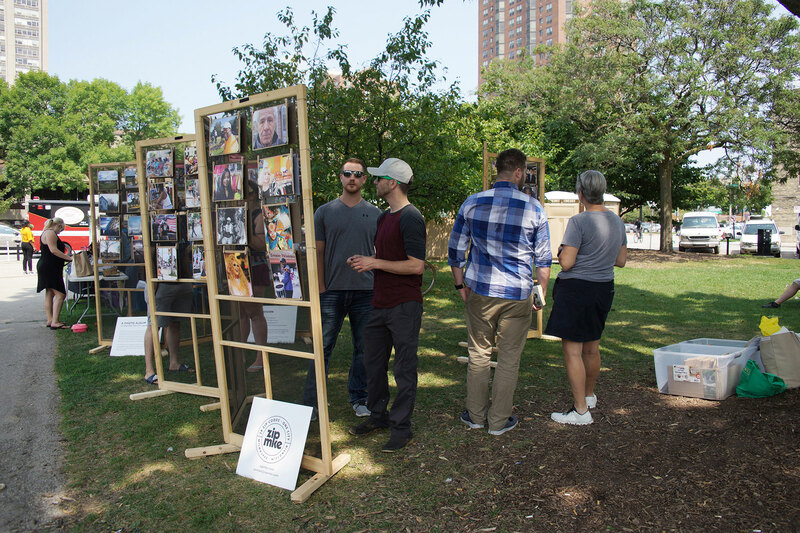 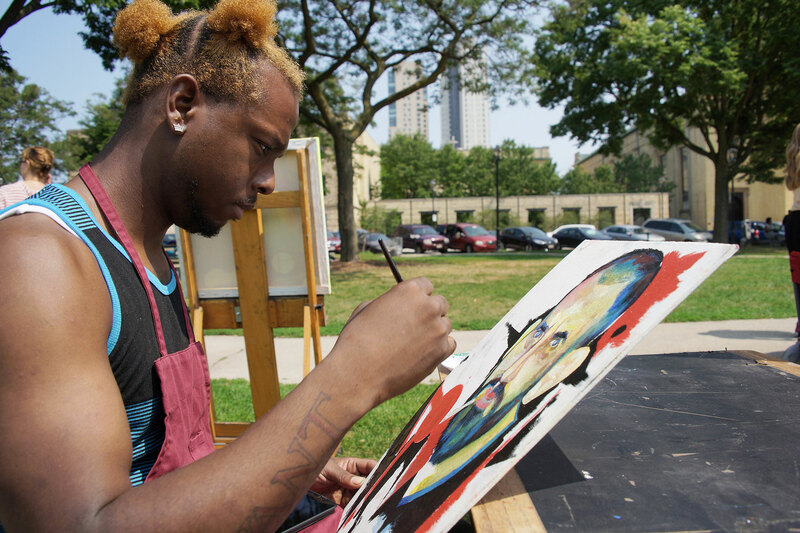 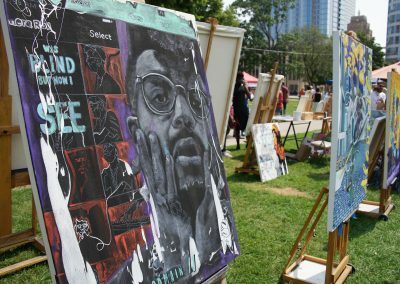 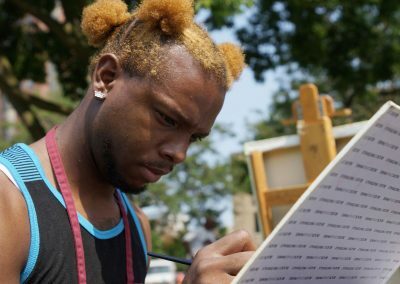 During the day, twenty diverse individuals painted, sprayed, sketched, chalked, and drew works with Milwaukee-themed messages. 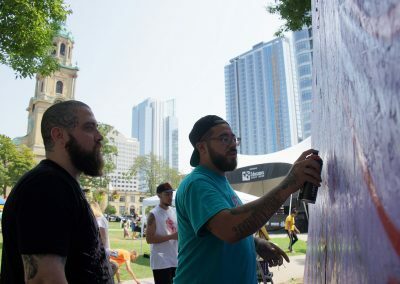 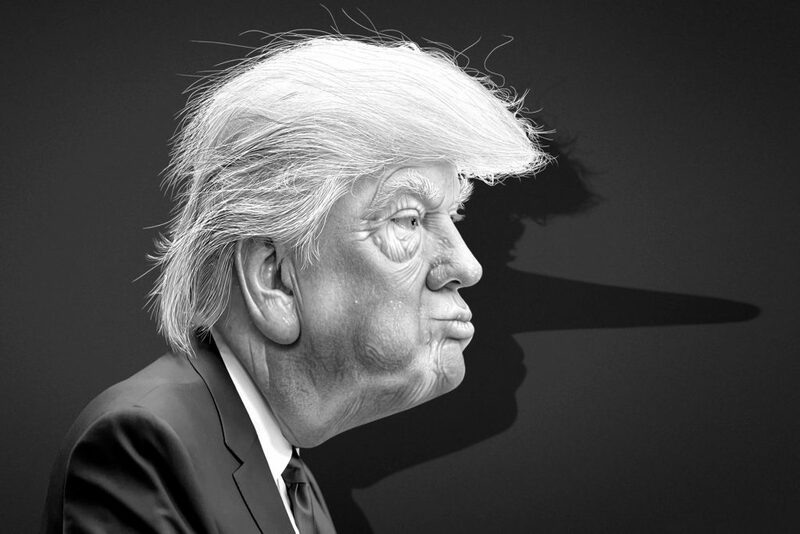 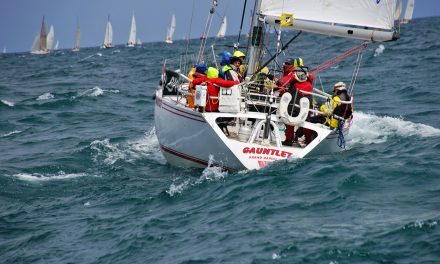 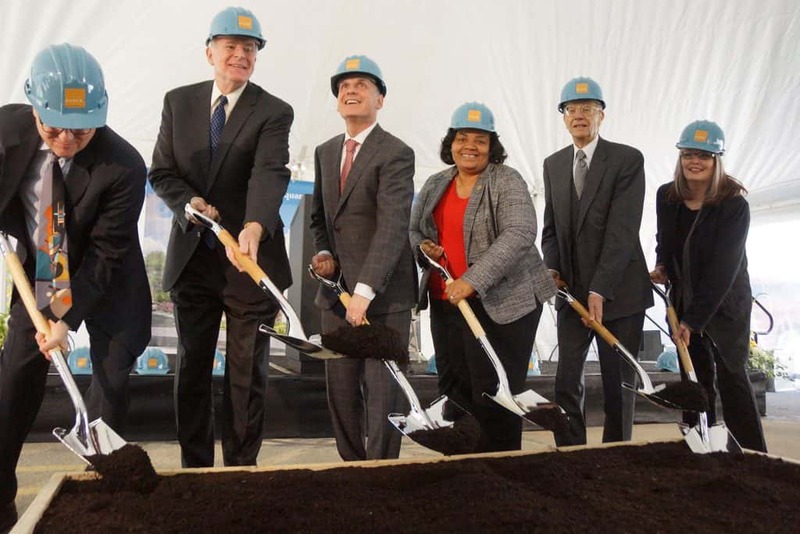 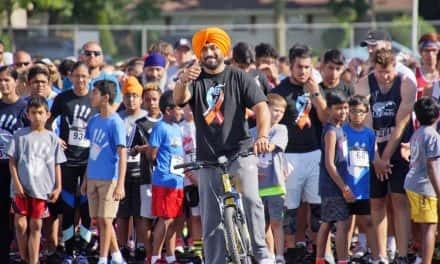 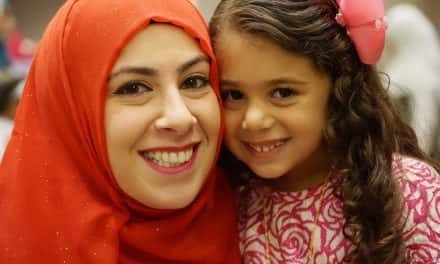 These images share highlights from the event.